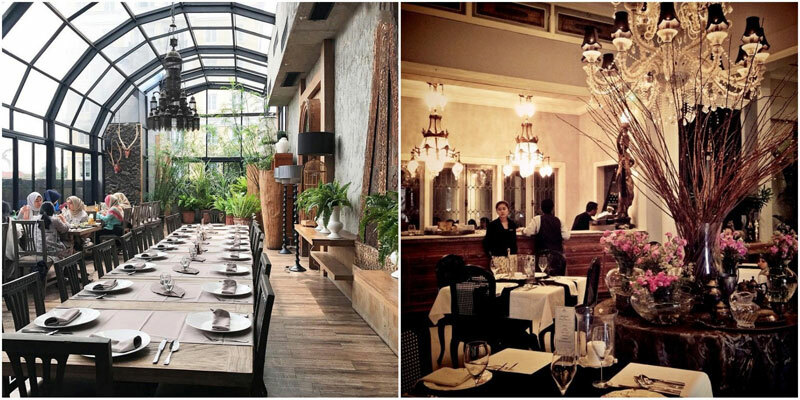 Searching for that perfect venue for a date night, but don’t want to burn your wallet? Anniversaries, special occasions or even that first date no longer need to cause you any anxiety. 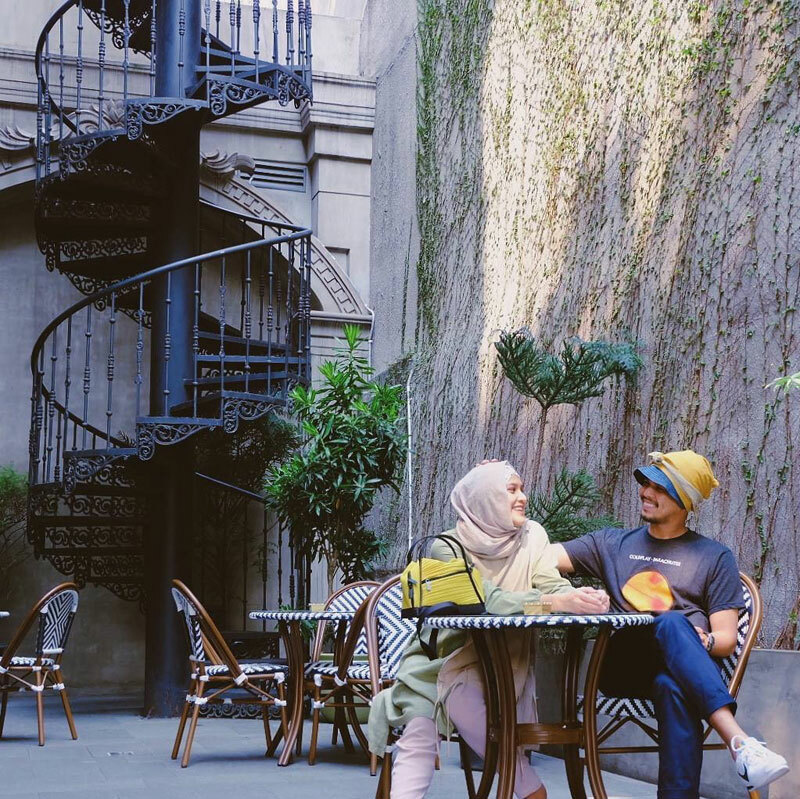 These romantic restaurants in Jakarta will not only charm her, but are budget-friendly at the same time – so you can have the best of both worlds! With mains starting from under Rp. 200,000 (approximately USD $15, excluding service charges and taxes), where else can you get such a steal? 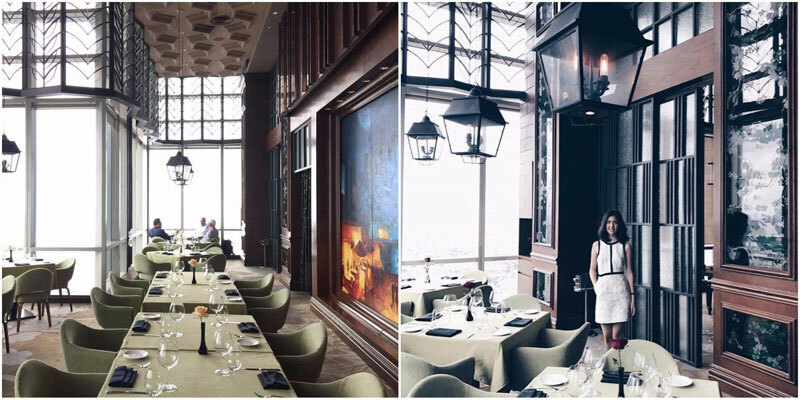 If you are a big fan of dining with a majestic view, you simply have to check out OSO Ristorante in Jakarta. 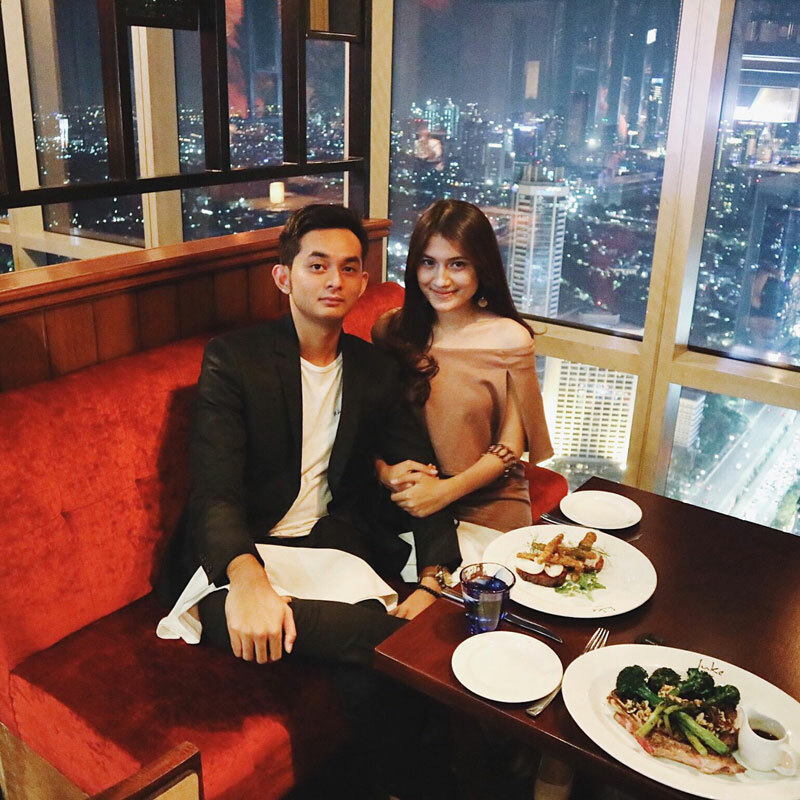 Nestled on the 46th floor of The Plaza tower, you can indulge in a surreal dining-in-the-sky experience. 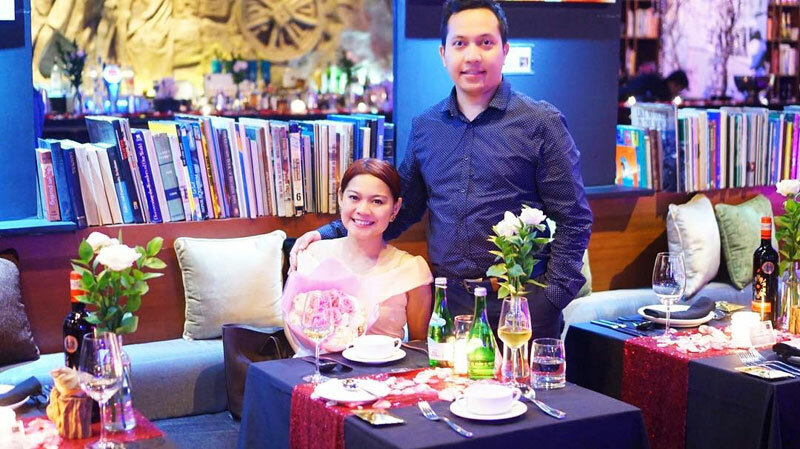 The luxury interior will makes a great ambience for your perfect romantic dinner. 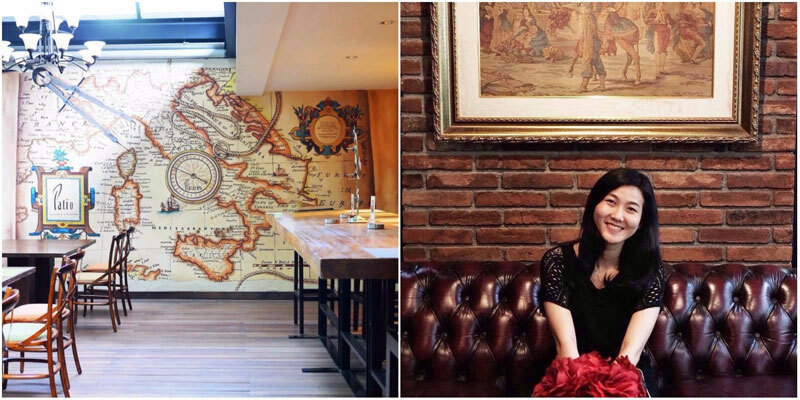 Don’t worry about your wallet because the main course in this restaurant starts from IDR 150k (USD $10). 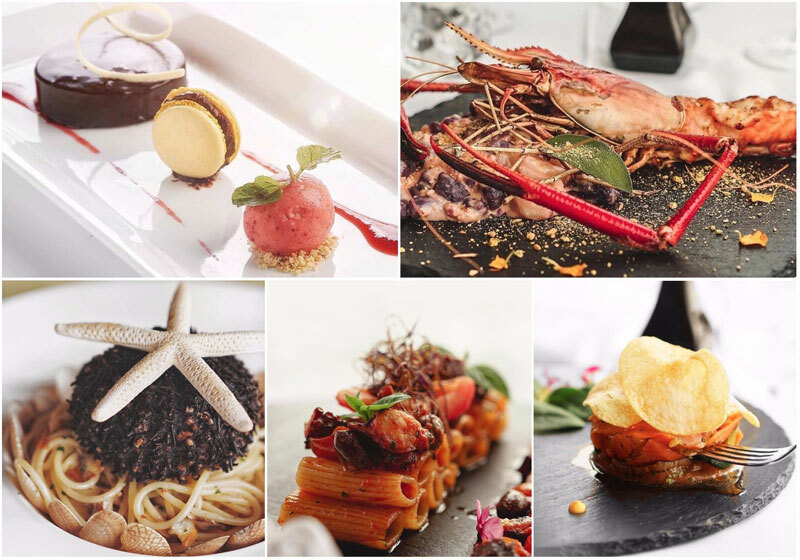 Gaia serves a wide range of Italian dishes, from homemade pasta, selections of meat and fish to delicious desserts such as Tiramisu, which is served according to the original 1956 recipe. 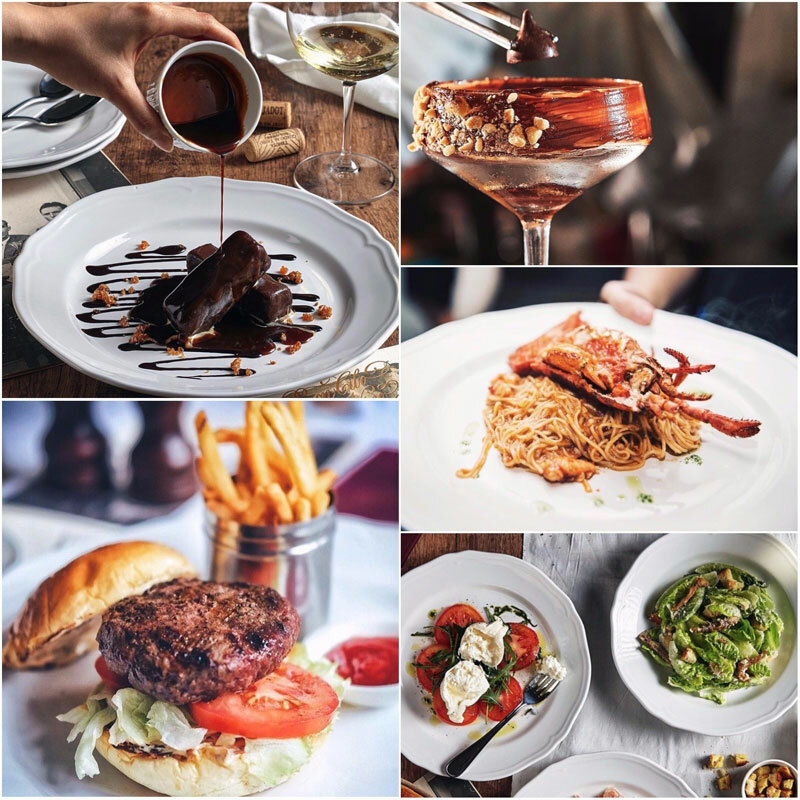 The most popular dishes with many food bloggers are Fettucine with Rock Lobster, Tagliate Dimanzo, and Marinated Beef Rib with Espresso Sauce. For dessert, don’t miss their signature chocolate mousse cake. 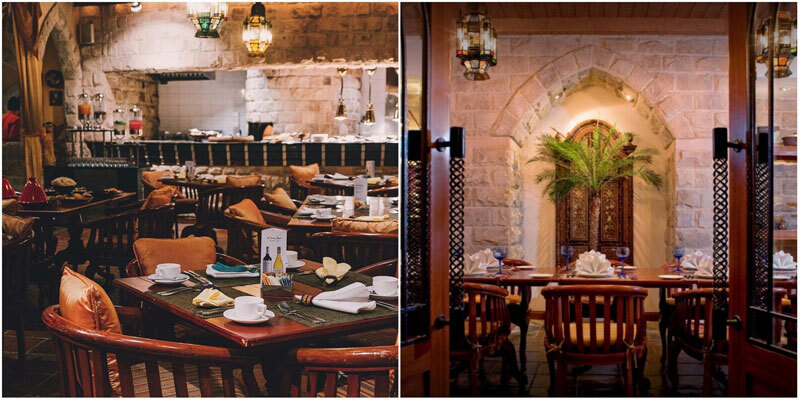 As you enter the premises of Al Nafoura, you’ll be greeted by its beautiful Lebanese interior design and charming fountains.The Arabic-influenced décor presents a romantic and warm environment, even in the daytime. 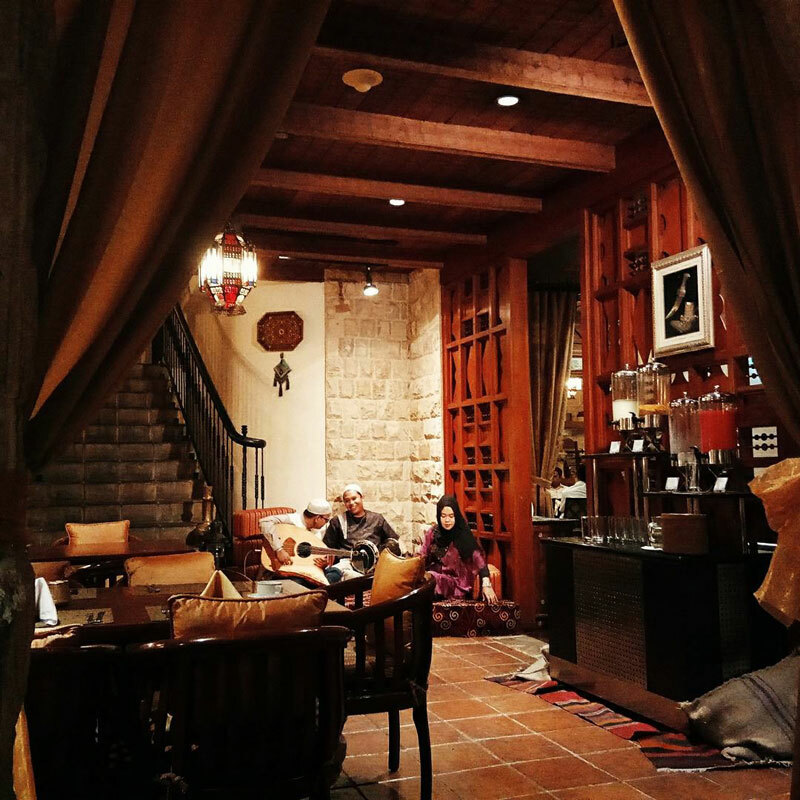 At night, Al Nafoura appears to be more intimate with its strategically-placed dimmed lights and stone walls to create an exotic atmosphere, while the music creates a traditional Lebanese ambience. 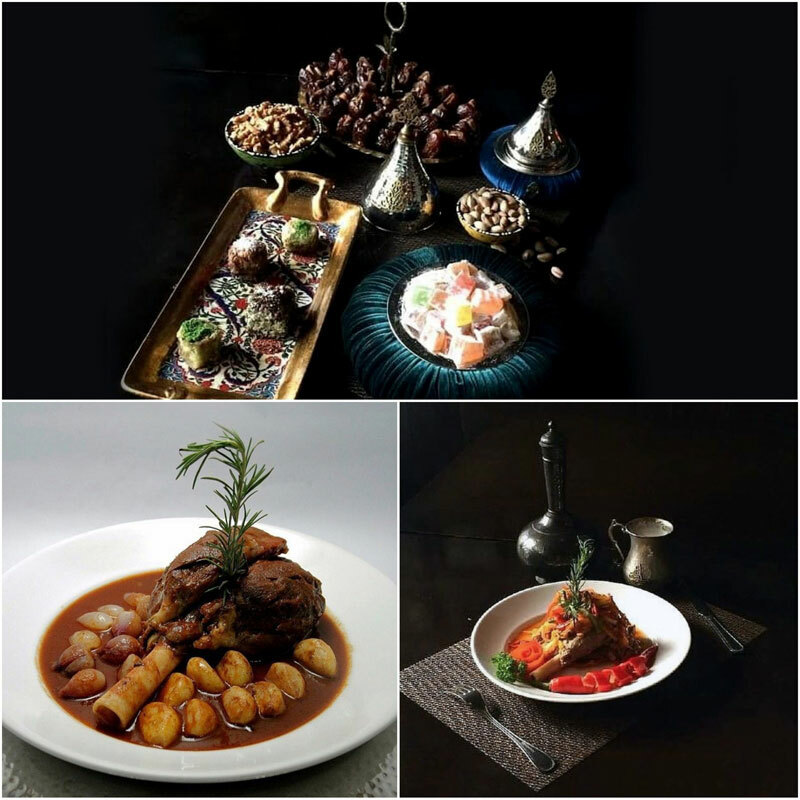 Here, you can choose from a menu of authentic Lebanese, Moroccan and Egyptian cuisines. 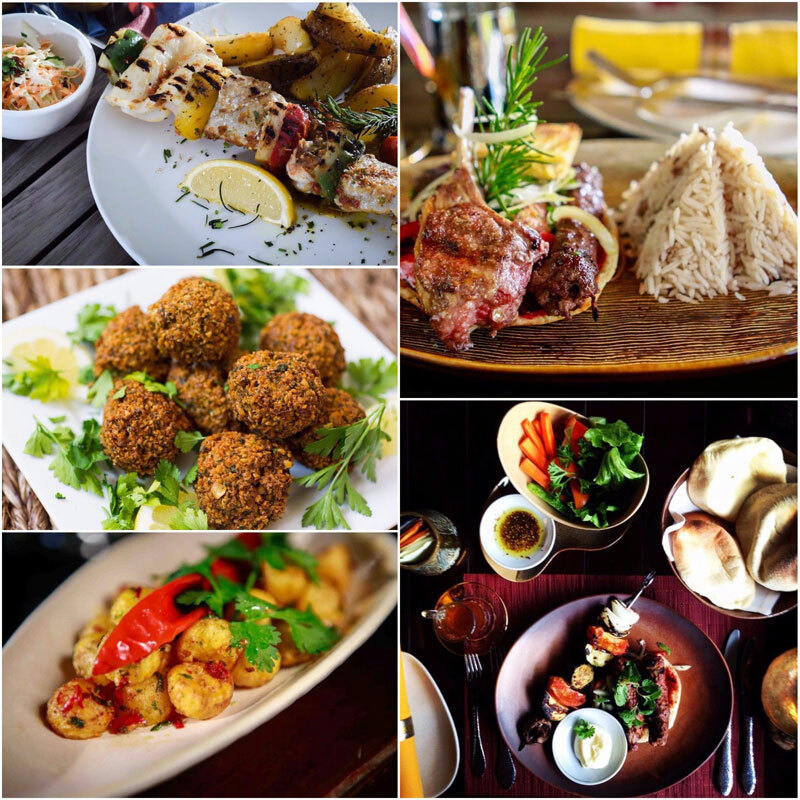 Their signature item is Haruf Orouzi, a specially cooked lamb chop with authentic Lebanese rice and flavours. If you have a sweet tooth, you’ll love these pretty desserts served on a large platter. What eye candy indeed! 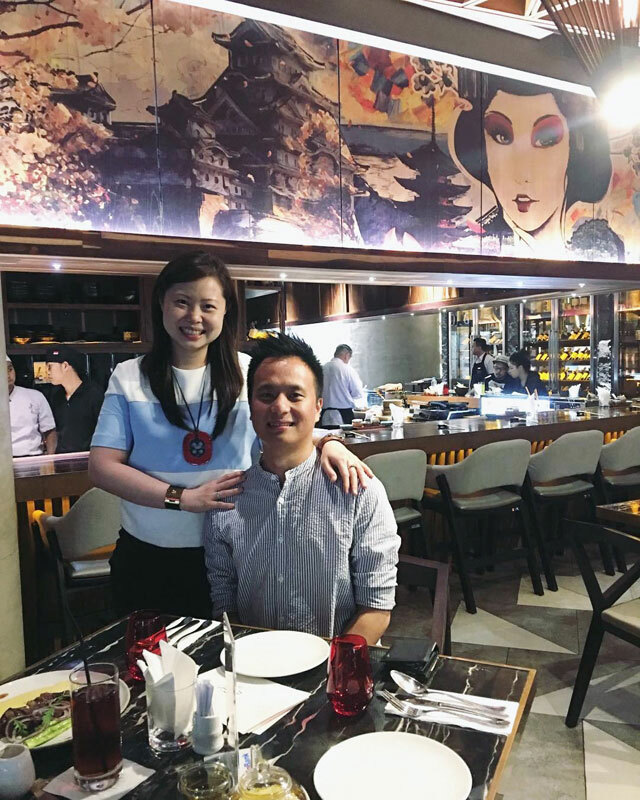 From the outside, you wouldn’t expect this restaurant to have a wonderful layout and ambience, but you’ll be pleasantly surprised when you step in. 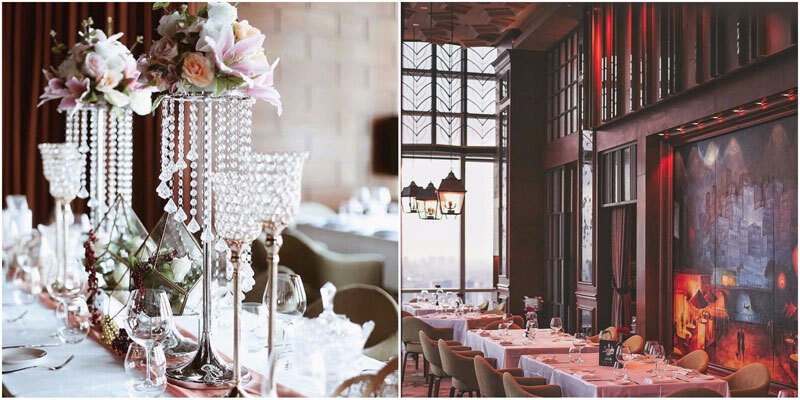 You’ll be greeted with a beautiful combination of colors – blue, turquoise and grey, topped with a stunning Turkish chandelier, so the restaurant appears like an upscale art gallery. If you’re looking for a heftier lunch menu with someone special, you can’t miss the lamb shank. The lamb is baked overnight in the wood oven and served with pureed chargrilled aubergine with cheese. It’s wonderfully seasoned and the portion is big enough for two. Once you’ve got a taste of the juicy and soft meat, you may actually be tempted to return for another! For Mediterranean food lovers, the basic but glorious choice would nonetheless be the pita bread and homemade hummus. 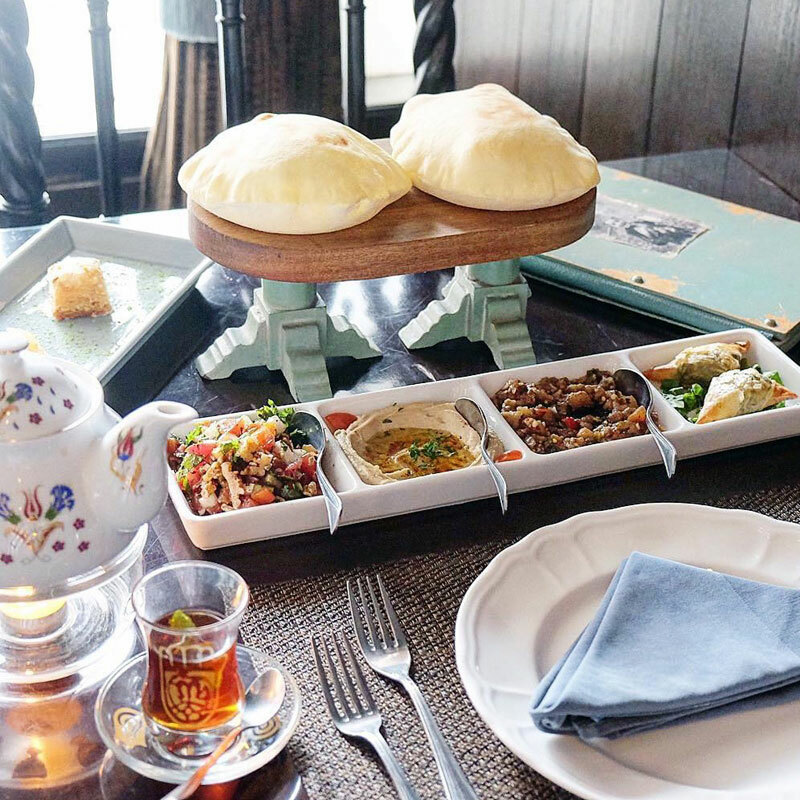 You can watch them bake the bread in the wood oven, and paired with a warm cup of mint tea, it’s the perfect companion for your romantic chat in a beautiful setting. 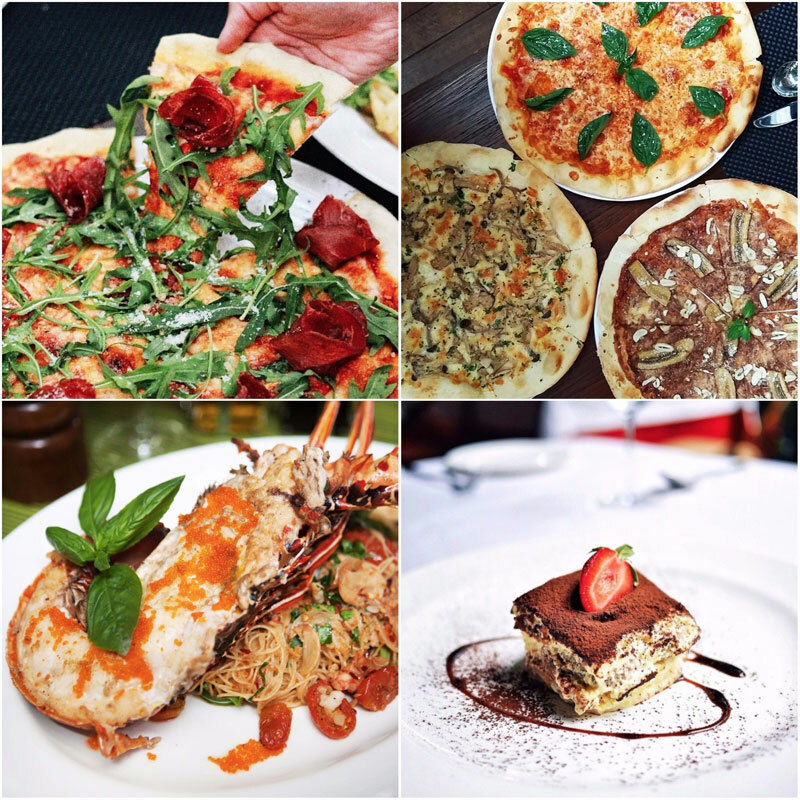 If you are craving for pizza and Italian food, this is the best dining place for you. Once you’ve entered the patio, you’ll be escorted by the receptionist to the actual mansion! 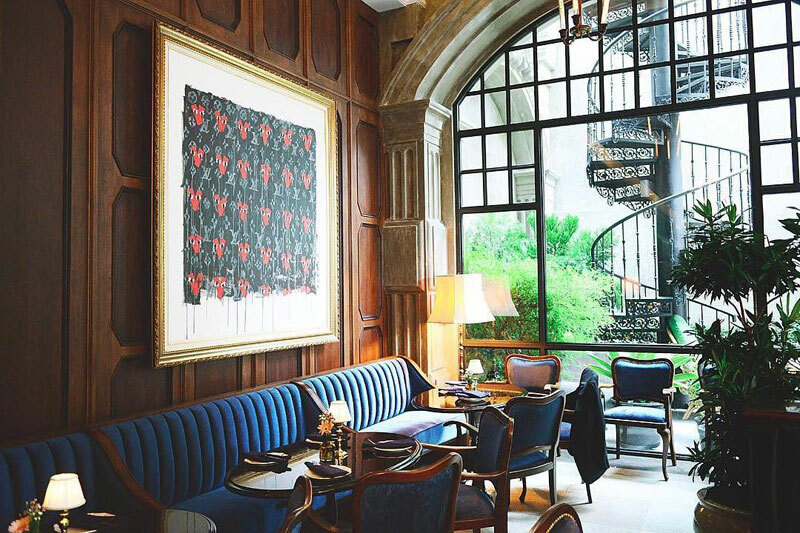 This is definitely not your usual Italian restaurant, as its interior is similar to an ‘80s Italian mansion that‘s usually owned by a mafia. 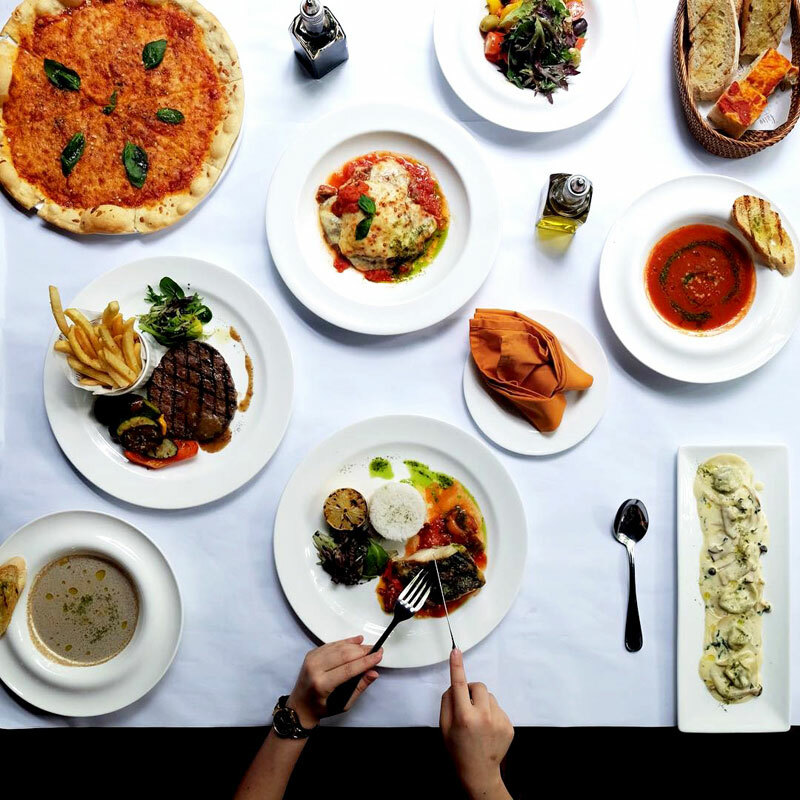 We recommend the Angel Hair pasta with Lobster, Bavette ala Primavera, and their special Pizza con Funghi with Escargot. For dessert, you must try the classic Tiramisu. 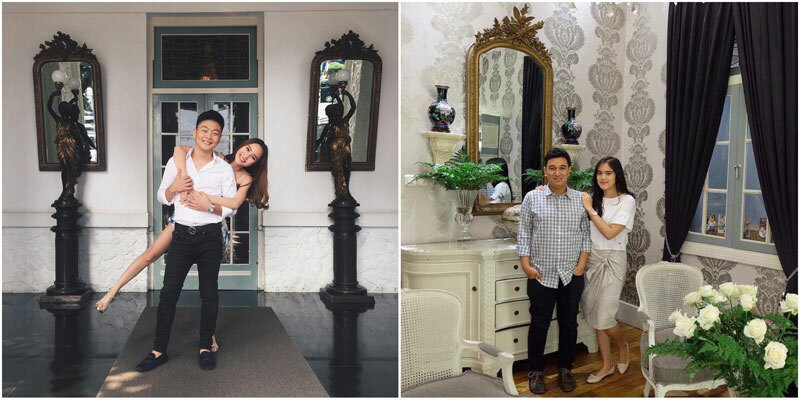 If you walk around the mansion, you will see a lot of classic interior and also this Instagrammable wall art. Who says you are not allowed to eat in an art gallery? You just haven’t been to the right gallery! 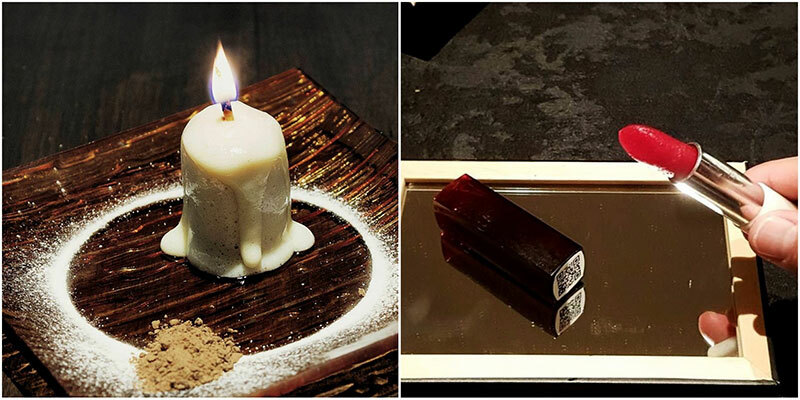 And there isn’t just food, but this place even serves you edible art – what a perfect combination, don’t you think? At the heart of Negev rests the root of a hundred-year-old tree, a symbol of natural beauty and longevity that warms the entire room. 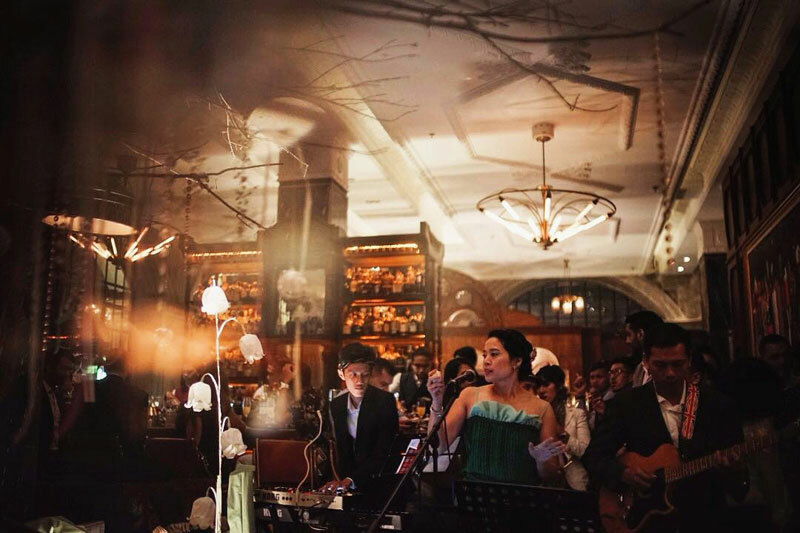 A myriad of art pieces, paintings and sculptures adorn every corner of the elegantly designed venue, exemplified by the famous leopard sculpture from renowned artist Nyoman Nuarta. The menu here is different for lunch and dinner, with several selected dishes that are repeated for both mealtimes. 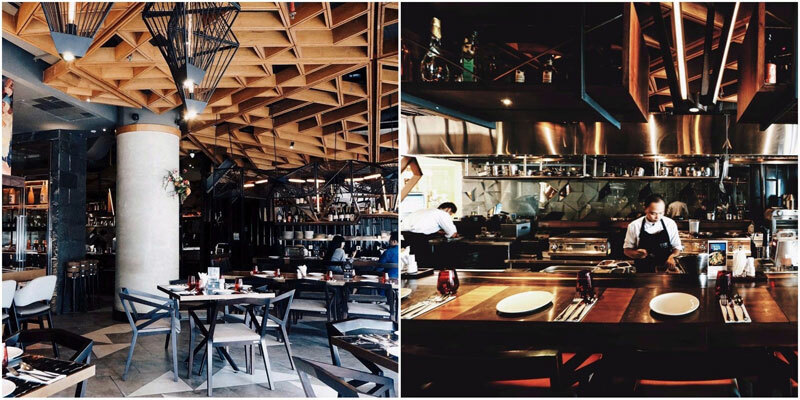 The dishes are Western, occasionally infused with Asian and Ceylon elements. 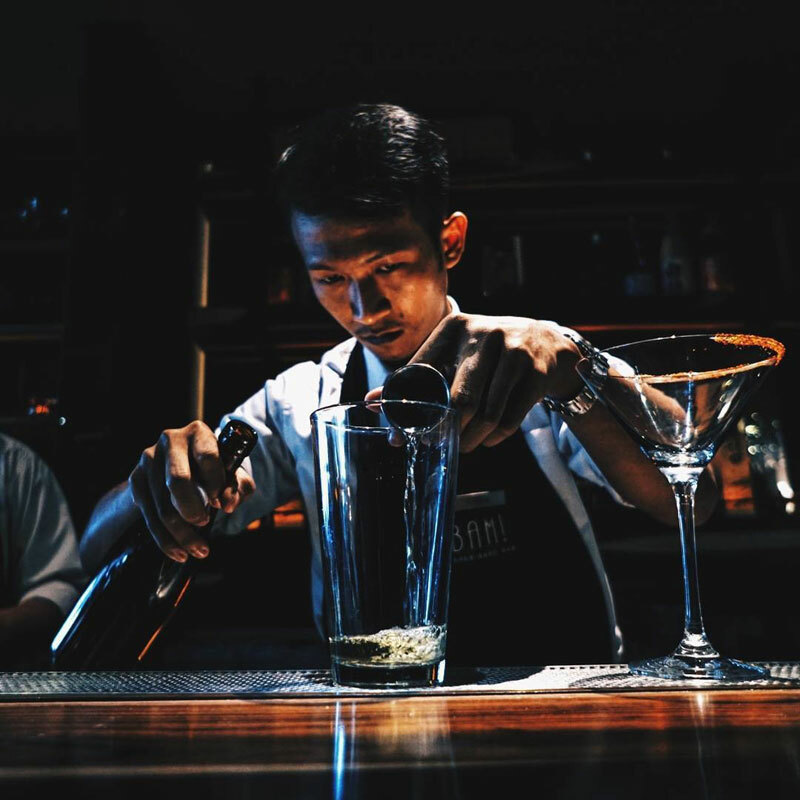 You must taste their Lamb Shank, Chipotle Roast Chicken, and Signature Salmon, paired with delicious beverages such as the Holy Trinity, Sapphire Martini, Rising Sun, and King Royale. And of course you must have room for dessert – check out this pretty finale to end your meal with! 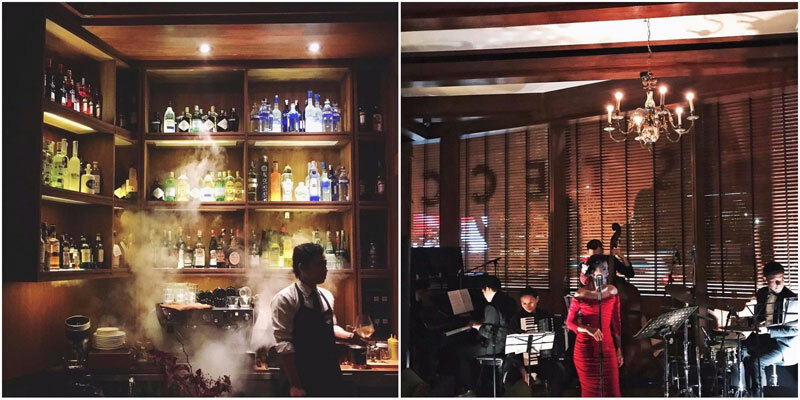 Once you enter Bistecca, you’ll forget that you’re in Jakarta – all these fancy vintage New York pub interior designs will transport you to the West! 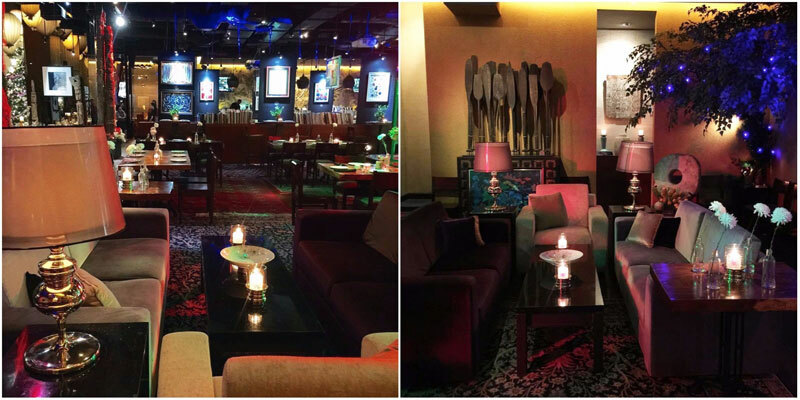 The ambience is really cozy with the dim lighting and elegant dining table. 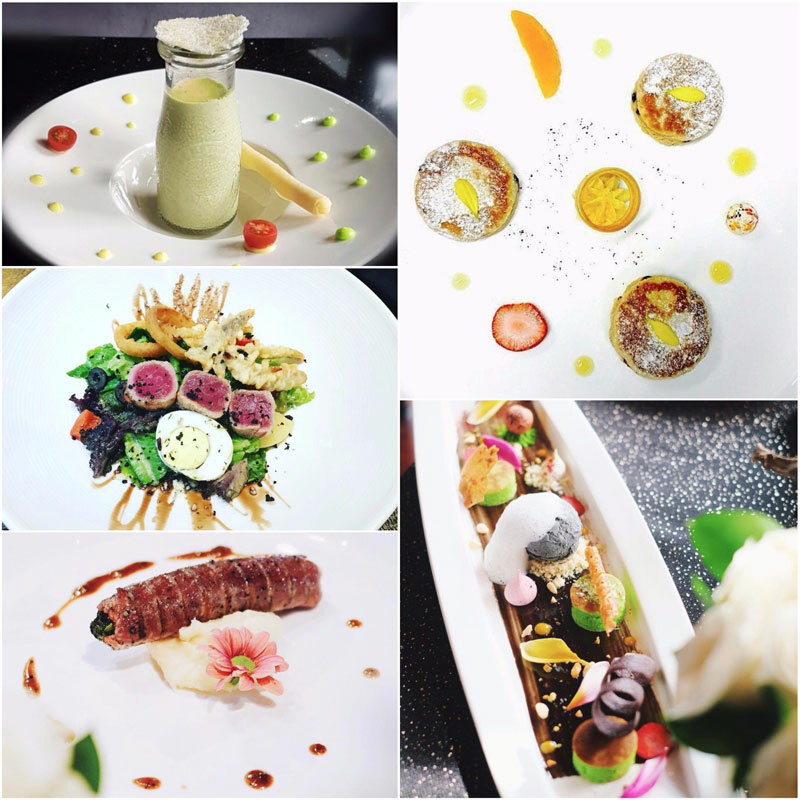 You won’t believe that the main courses here start from IDR 170k (USD $12)! 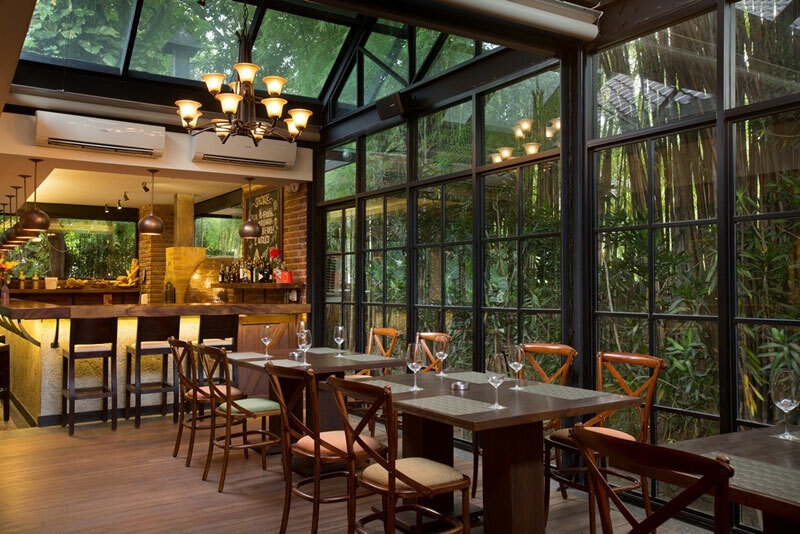 Bistecca is reputable and have famous franchises in Singapore and Malaysia. 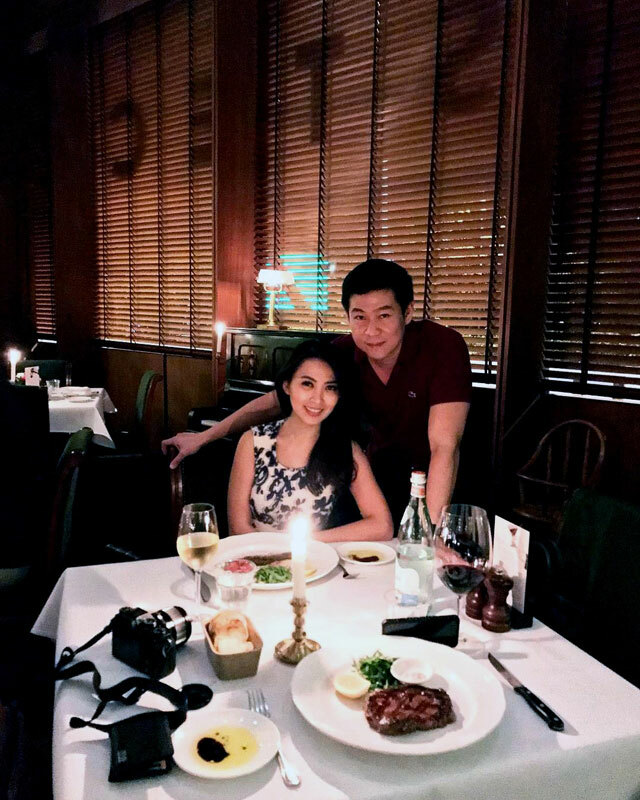 Their steaks are of international standard and won’t disappoint you with every bite. 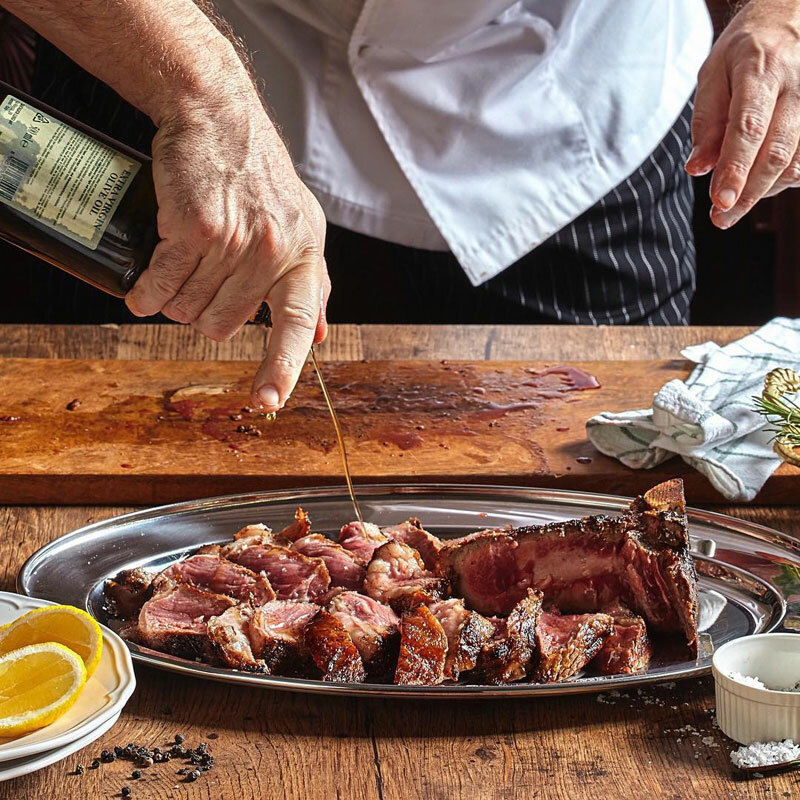 You can also try the Australian Black Angus Rib Eye – it’s highly recommended. 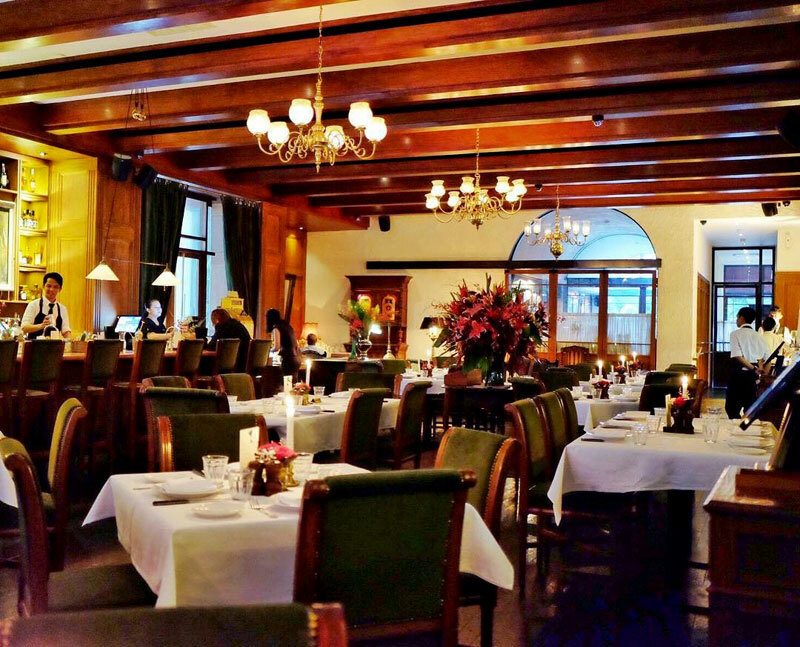 The restaurant is also famous for their Signature Bistecca Florentine Steak, with sides of hand-cut French fries and unique dessert. 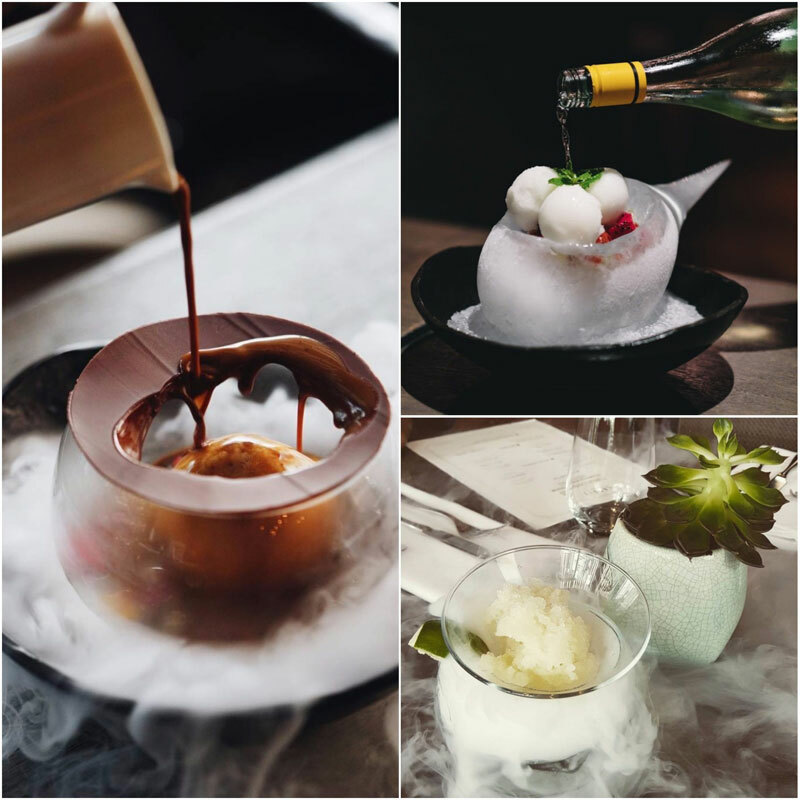 And for dessert, you must try their Instagrammable Signature Baked Alaska – a fire is lighted on top of a glass of rum and it is then poured onto the dessert. Simply fascinating! Once you cut it up, you’ll uncover three flavors of ice-cream and chocolate cake. Located on the third floor of the posh Plaza Indonesia, BAM! 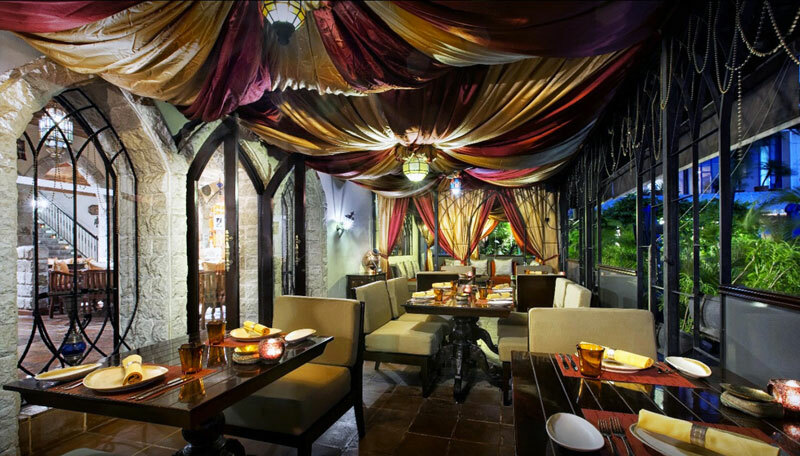 Tapas & Sake Bar provides a very nice ambience for people to enjoy good Spanish-influenced food with sake appreciation. BAM! 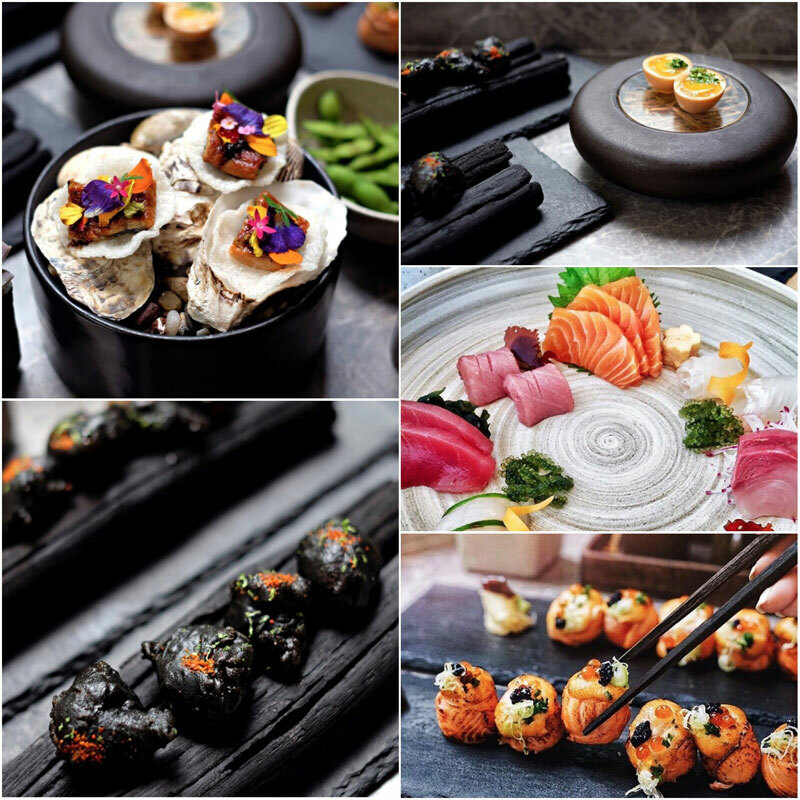 offers a “Modern Shudo” (a contemporary way to appreciate Sake) dinner with classic fine cuisine and laid-back vibes. There is no particular menu in BAM!, as the chef will serve you with their specials of the day. 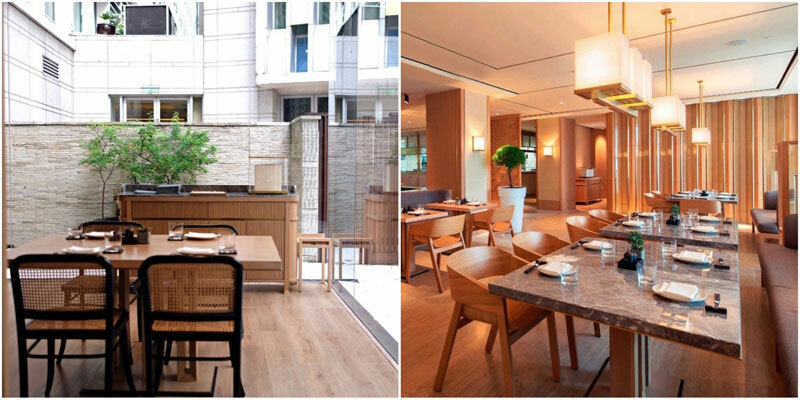 Main set courses start from IDR 200k ($15), so it’s not too exorbitant. 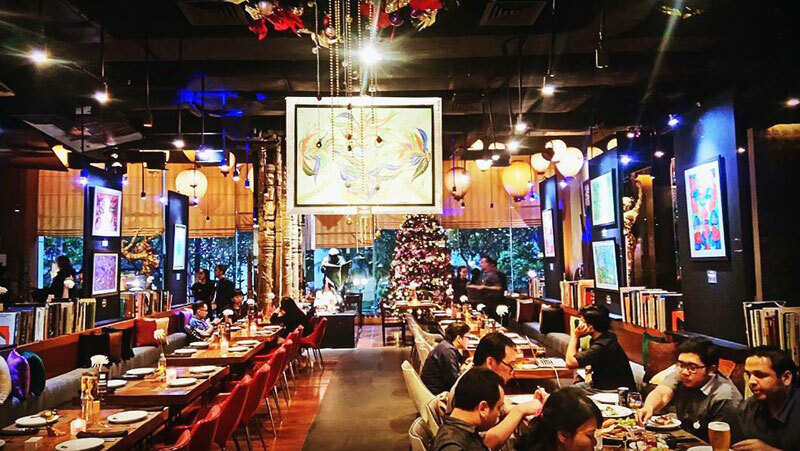 Their famous special menus are Angel Hair Pasta, Japanese Squid Otak Otak, Charcoal Grill Spanish Pork, and Seafood Paella, so make sure you get those the day you go! 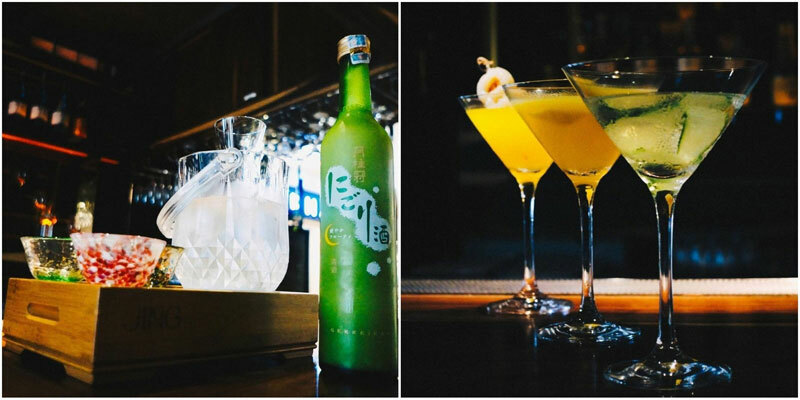 Beside the legendary original Sake, they serve a special beverage, Kokonatsu Mule, for only 60k ($5). You can end your sweet evening with another sugar fix – the Banana Rhum! 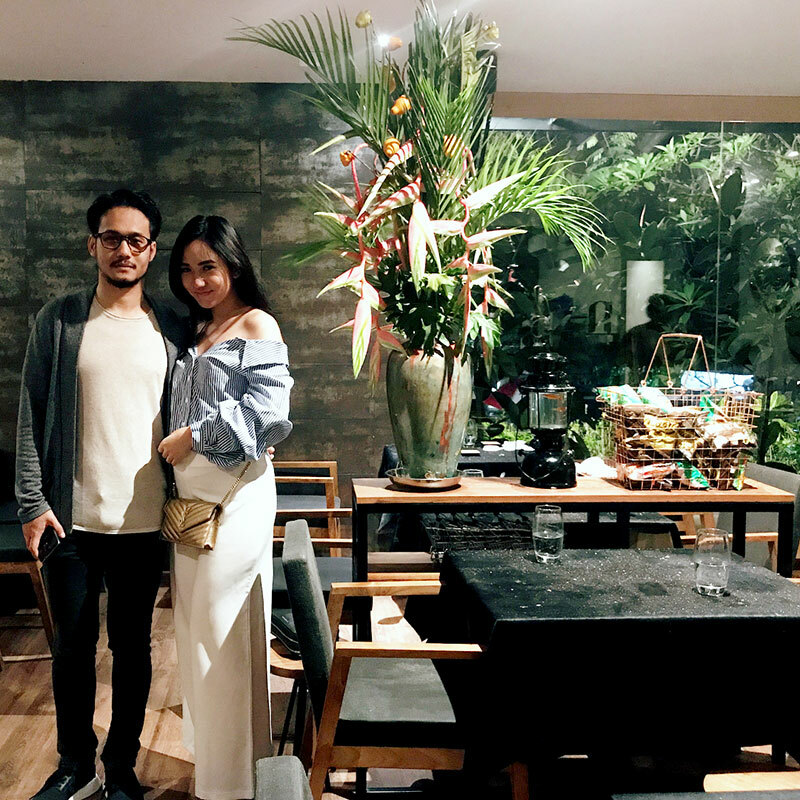 Menteng is the jungle of Western and modern gastronomy. 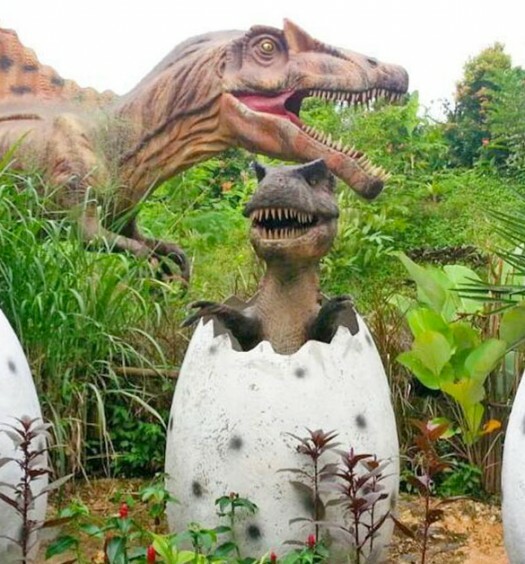 But if you look closer, you will discover this hidden gem. 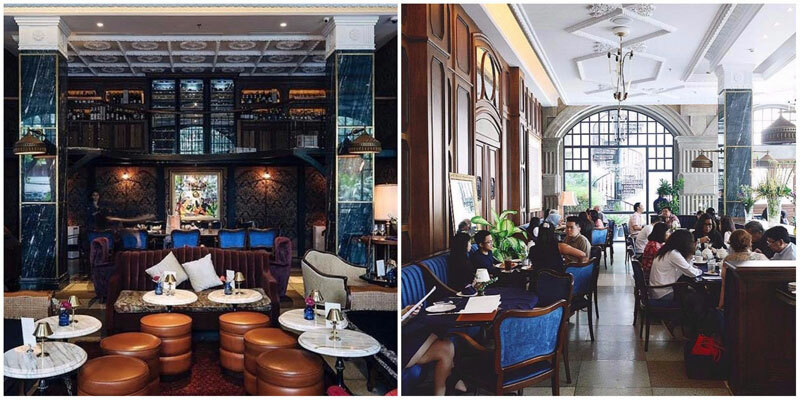 The restaurant is actually an antique Dutch colonial house that’s transformed turned into a restaurant with exquisite architecture and interior that will surely impress. 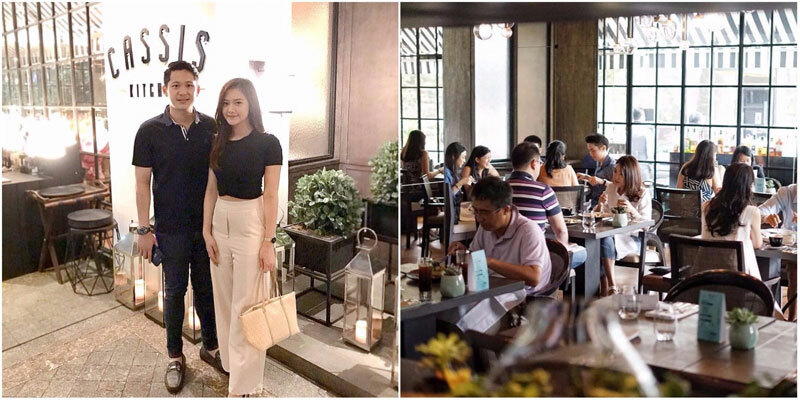 With flowers, chandeliers and a greenhouse-like semi-outdoors interior, Bunga Rampai offers a stylish and classy dining ambience. 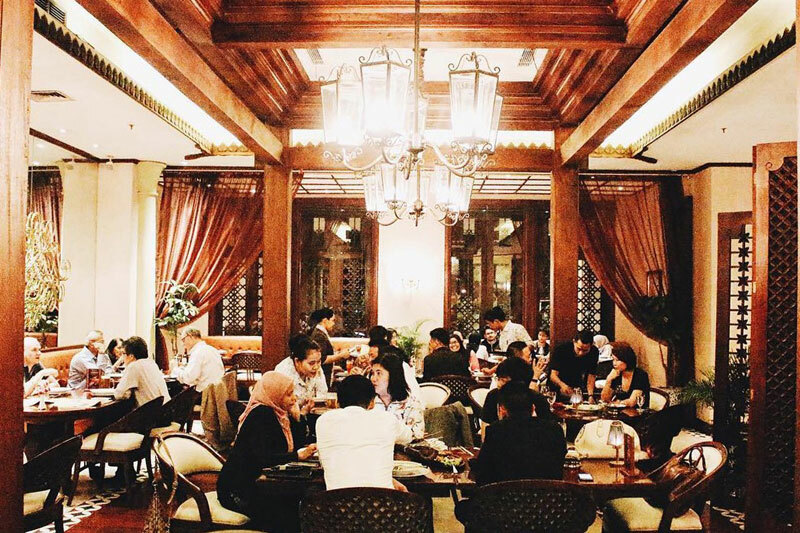 A popular venue for high-society expatriate and ambassadorial meetings and gatherings, Bunga Rampai is often where you begin introducing authentic Indonesian cuisine to foreigners. 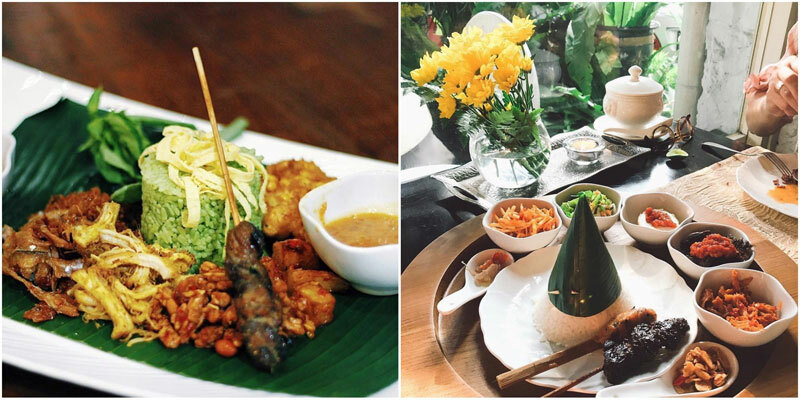 Their recommended dishes are Nasi Bali, Buketan Rice, Nasi Goreng Kampung Menteng, and Sate Bunga Rampai. 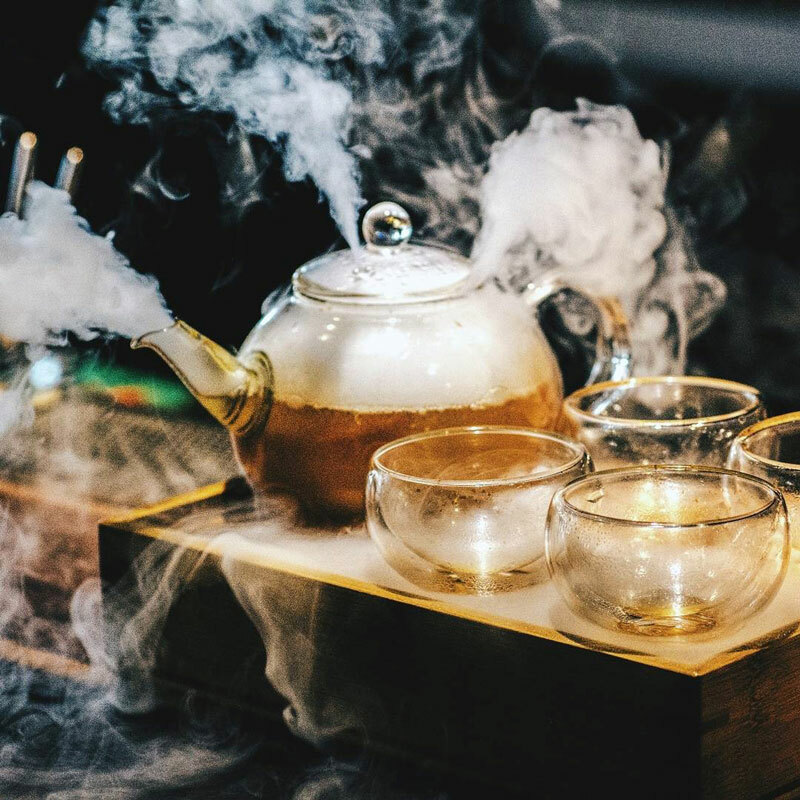 Try the traditional beverages such as Es Campur Panca Warna (a drink with grass jelly, coconut flesh, palm fruit kernel, fermented cassava, shaved ice and condensed milk), or their dessert with fried fermented cassava (tapioca). In the mood for something fancy yet affordable? You’ve come to the right spot! 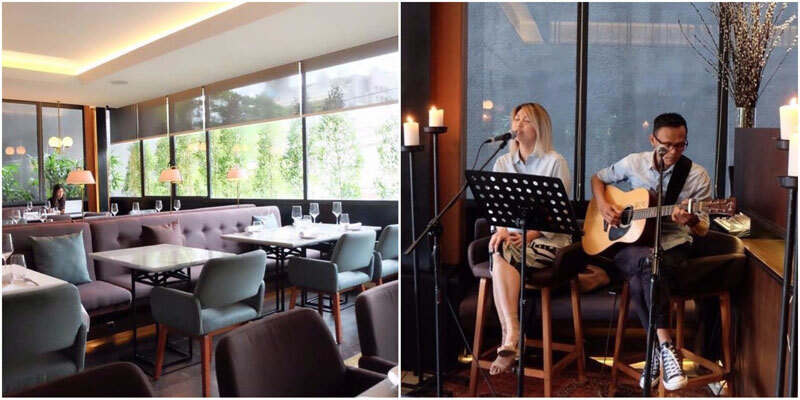 Though Cassis used to be a very fancy place, the restaurant in Pavilion Apartment Retail Arcade now has a more casual and relaxed setting with an outdoor lounge, to appeal to those who just want to hang out and enjoy a nice glass of wine. Don’t miss their Pan Roasted Alaskan Scallop – it’s highly recommended. Do also try their Spicy Tuna Tacos, Cassis Kitchen Burger, Parmigiana Chicken Schnitzel (for only $10! ), and Steak Fries. Cassis Kitchen is also famous for their Banana Chocolate Sphere, for dessert. And last but not least, their signature Zero Celsius will blow your mind (and tongue)! 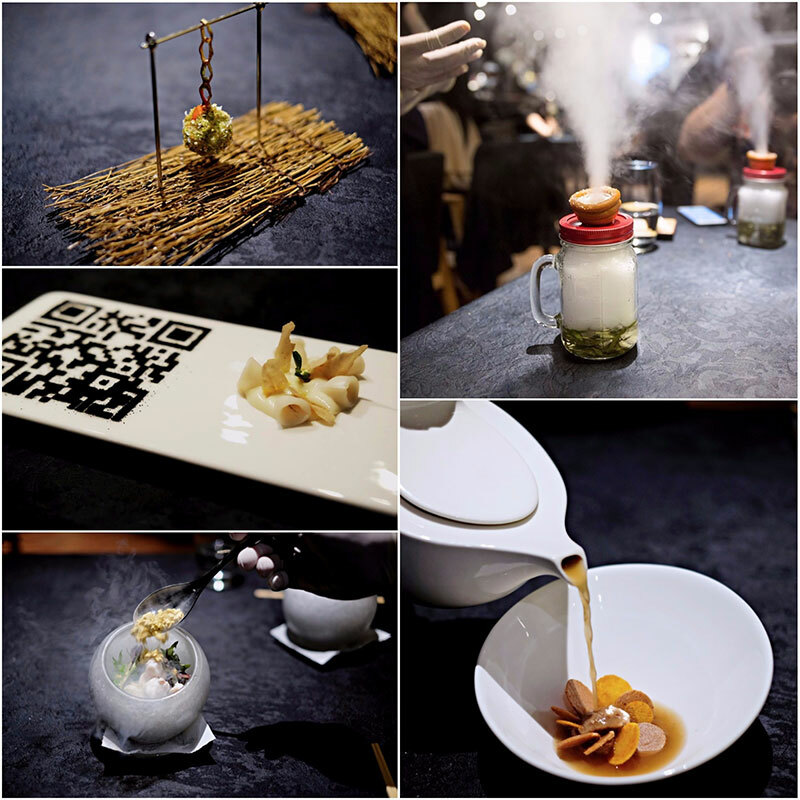 Who says you can’t enjoy fine dining with a traditional menu? 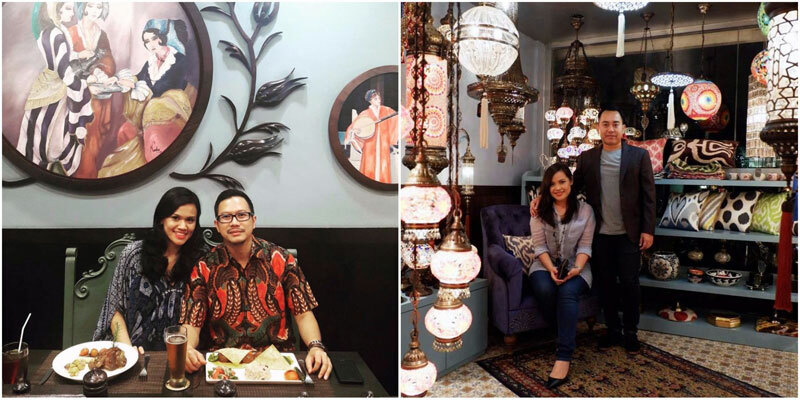 At Harum Manis, the concept of Indonesian cuisine is redefined. 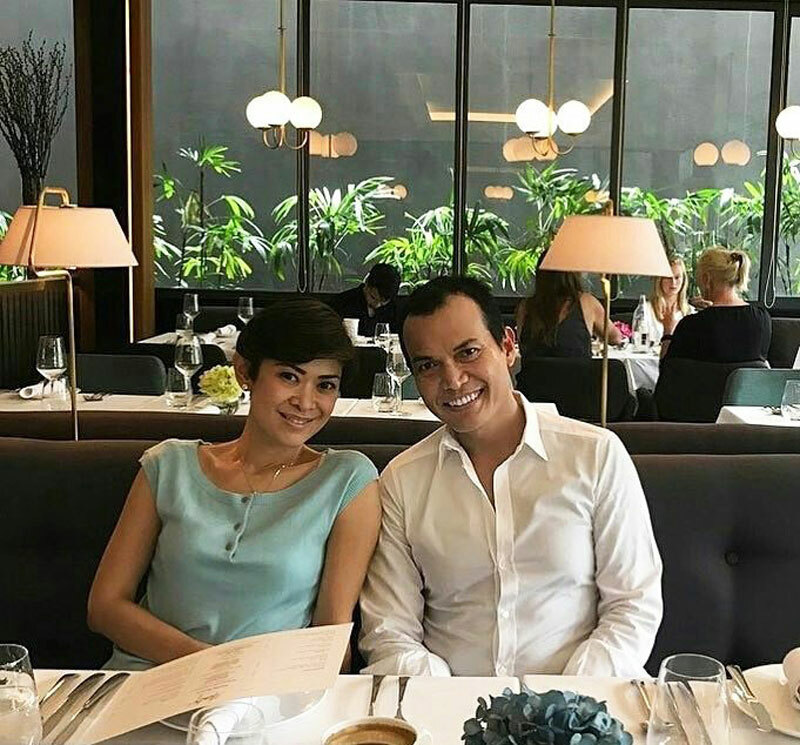 The restaurant’s interior design has elements of both the old and the new to create a setting that is distinctively Indonesian but with modern sensibilities.. A repeated motif seen throughout is the Bunga Kawung (otherwise known as the Kawung flower), which is the icon of the restaurant as well as a symbol of symmetry and unity. 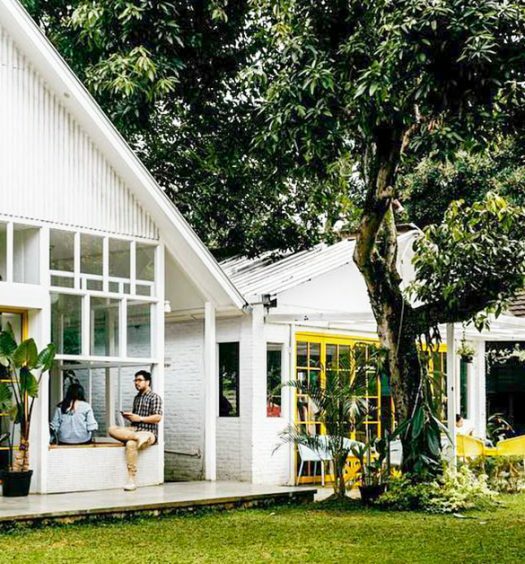 In fact, this place is so homey, you won’t want to leave! 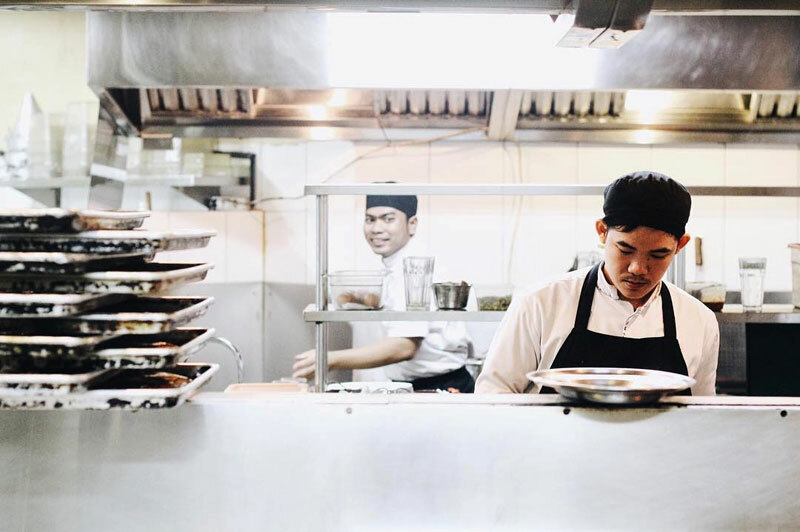 Open kitchen areas allow patrons to watch the chefs as they cook up a wide range of Indonesian delicacies, focusing on Javanese traditional cuisine. 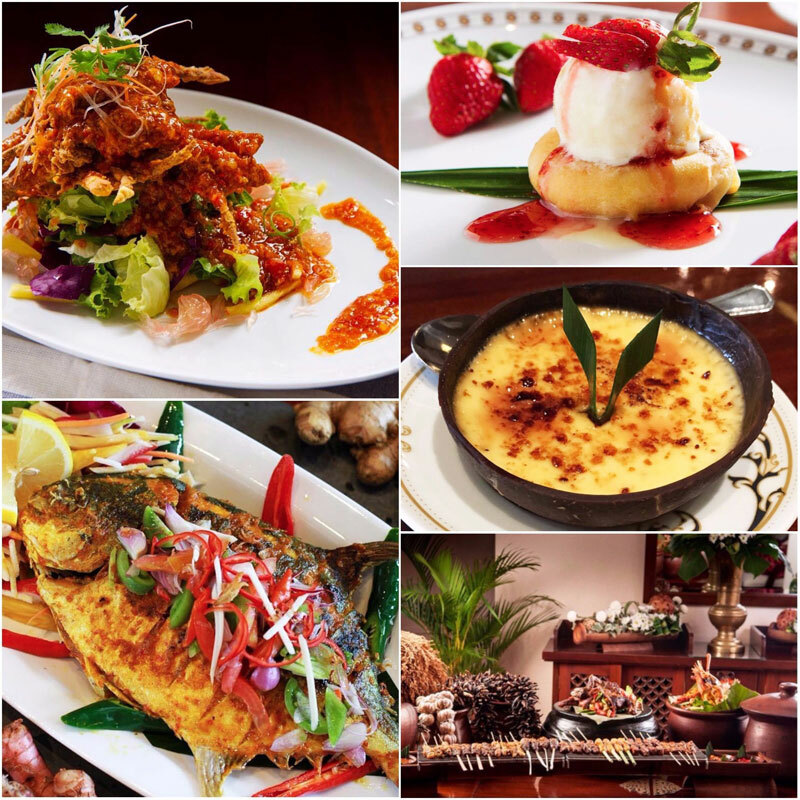 Some favourites include Fried Fish, Crispy Soft Shell Crabs, and Durian Brulee. 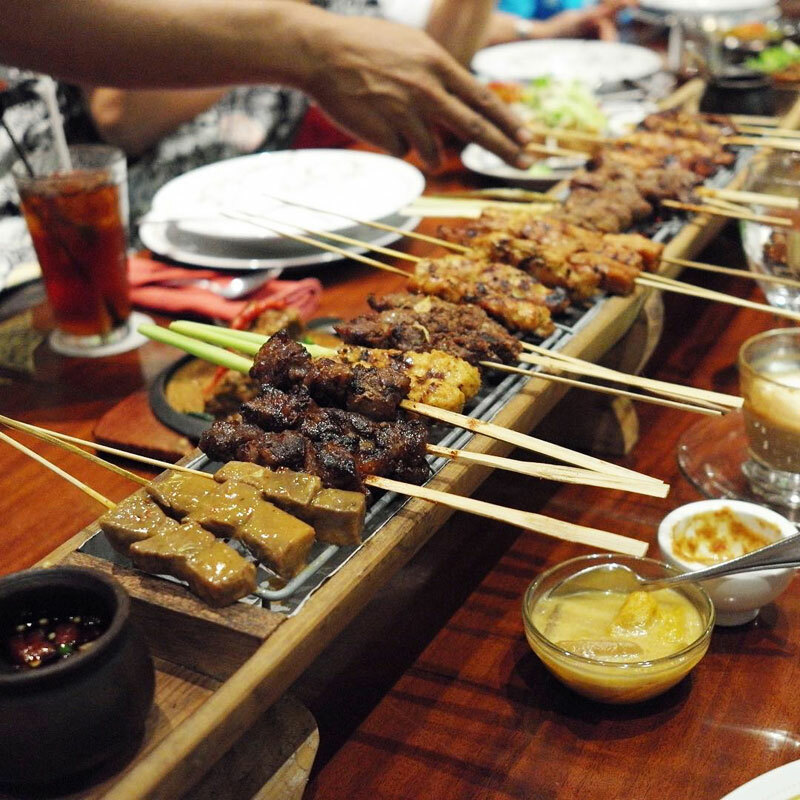 Don’t miss this popular one-metre-long satay bar – you’ll need to have double, triple, or quadruple dates! 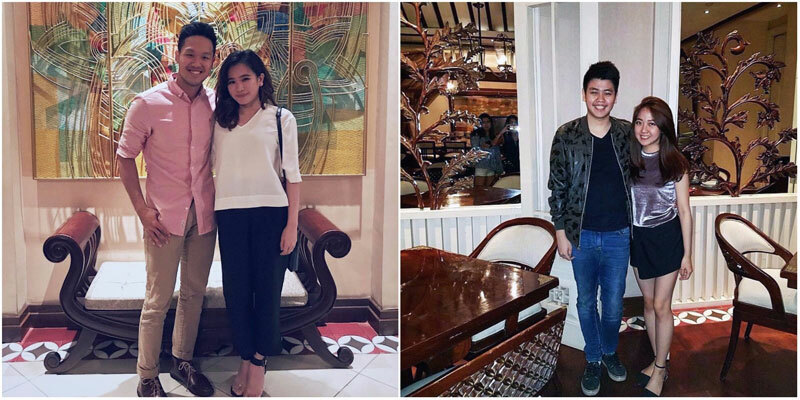 If you really want to impress your date, you need to choose Monty’s Restaurant, a well-known dining place for celebrities. You’ll see at least one ferrari in the parking lot, and if you lucky enough, you may even spot some familiar faces dining in! 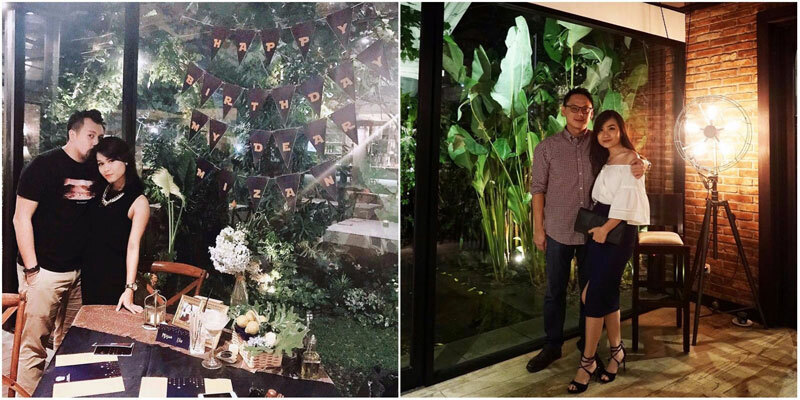 The decor is chic, minimalist and modern with a very classy atmosphere, perfect for your romantic date. 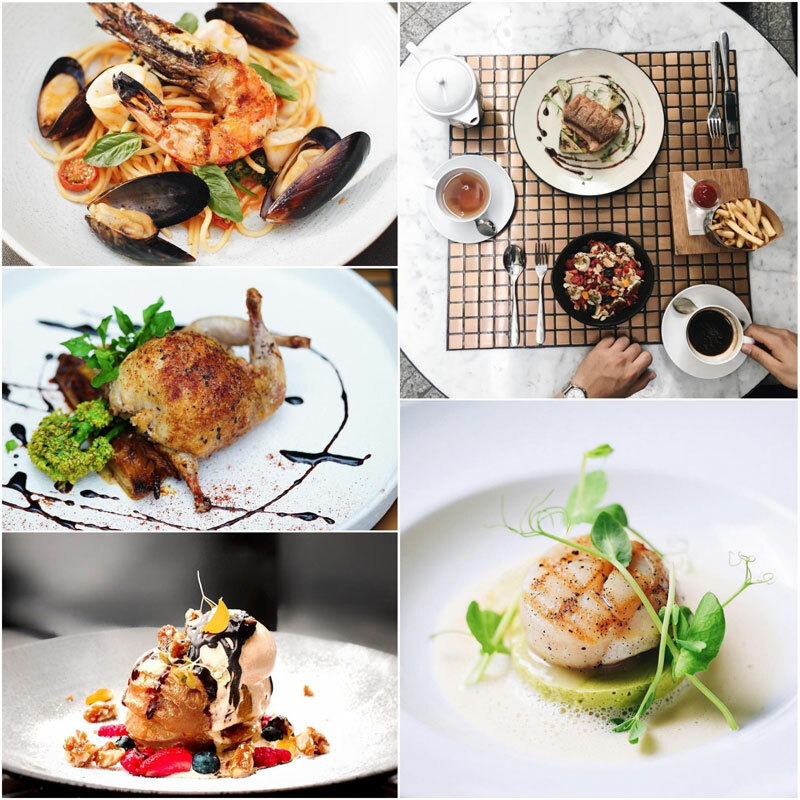 This restaurant may be a little overpriced, but the main course starts from IDR 150k ($13) – although it’s a small portion, it’s still a worthwhile fine dining experience, with European-Western cuisine topped with a little touch of Scandinavian. 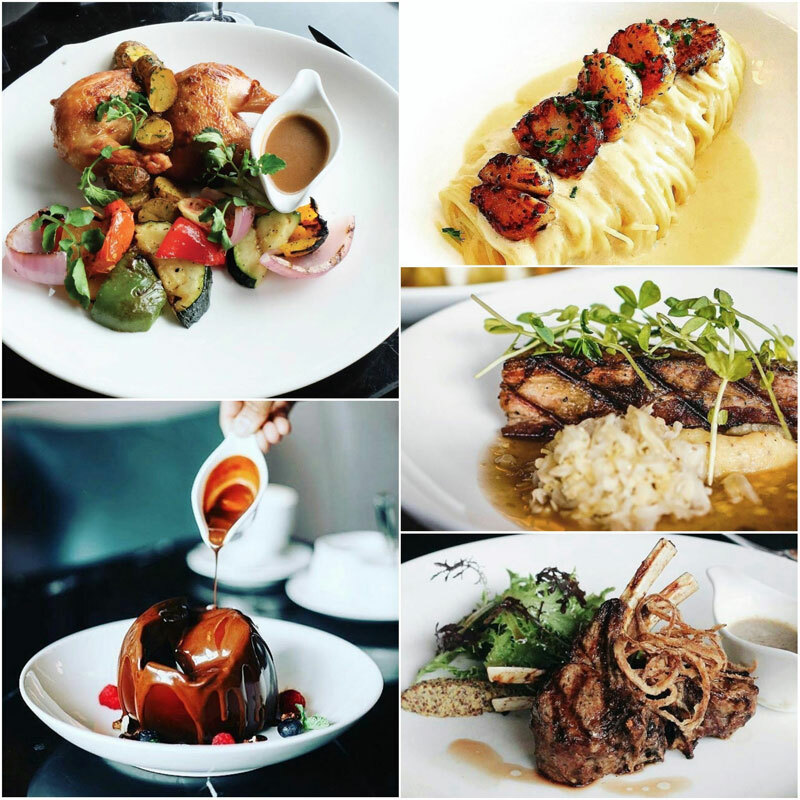 We recommended the Sea Scallop Angel Hair, Lombok Turbot, Smoked Half-roasted Chicken, and Lamb Chop. For dessert, this melting Dark Chocolate and Whiskey will also melt your date’s heart. 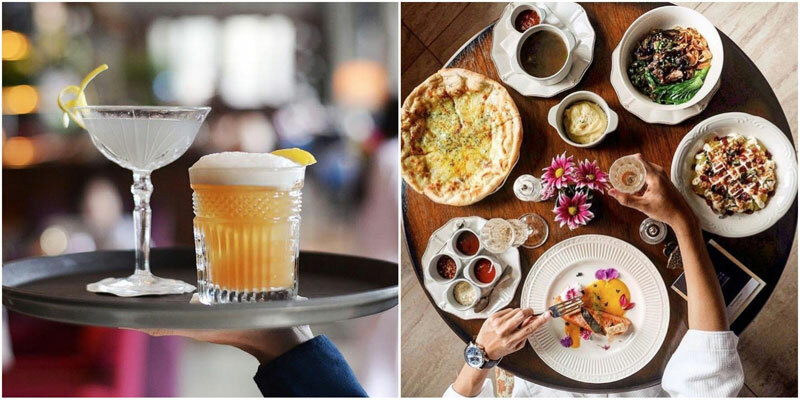 Sofia is a beautiful restaurant located in a classic Victorian-style building at Jalan Gunawarman, and it’s probably the fanciest-looking restaurant in town at the moment. The interior of this building will impress you, just like those fancy restaurants in New York. You need to make a reservation because it’s always packed and seats are limited. 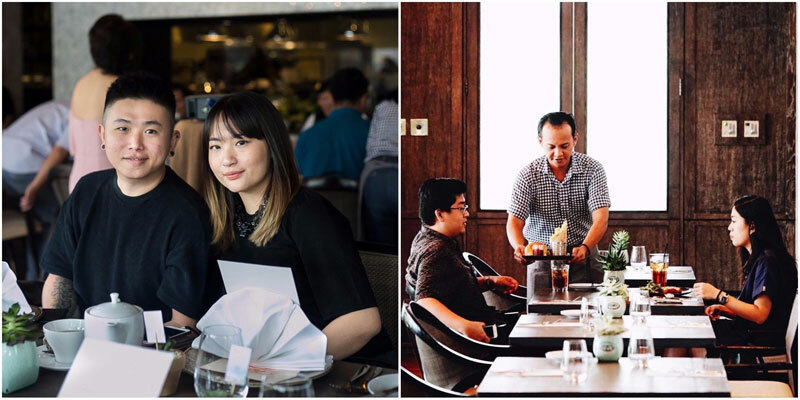 You can be surprised by their special menu of the day, or you can choose to taste the recommended Roast Duck, Beef Chuck, Salmon Confit, and Apple Crumble. Opening hours: Monday, Tuesday, Thursday, Sunday: 6 AM – 3 AM, Wednesday, Friday, Saturday: 6 AM – 3 AM. 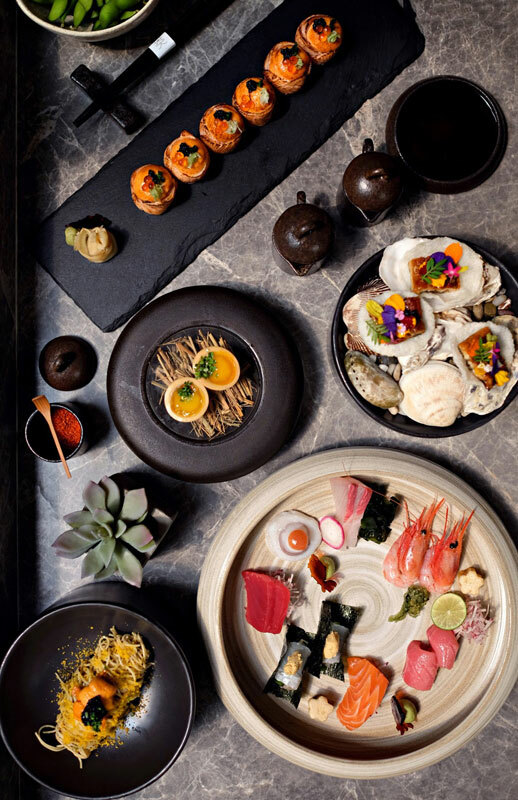 Looking for a unique Japanese cuisine that combines modern techniques with traditional flair? You might just hit jackpot with OKU. This premium dining outlet has a unique philosophy that gears towards respect for all products and ingredients used. 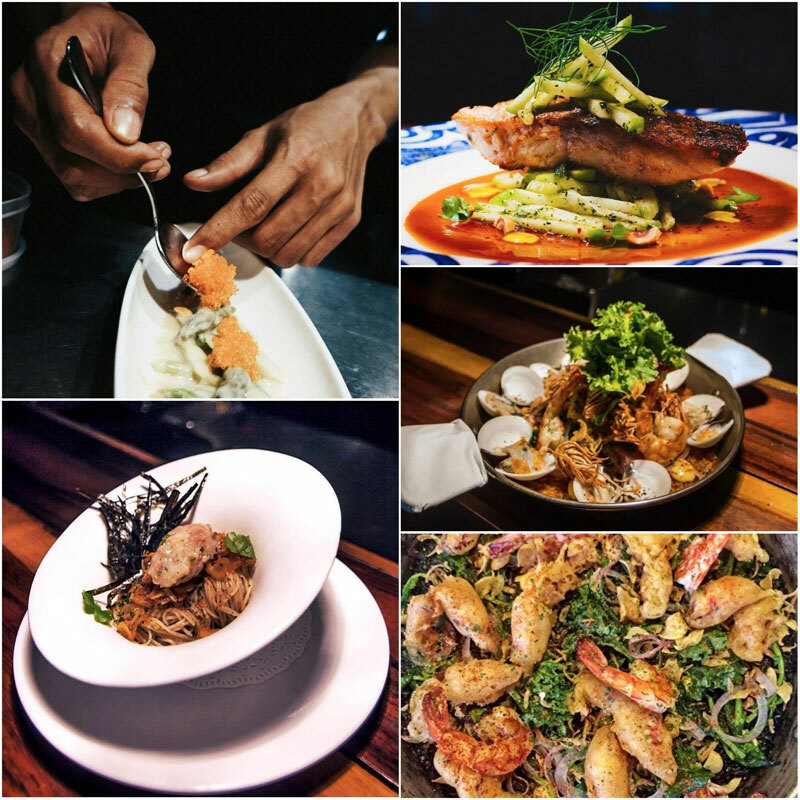 You can expect to taste multitudes of subtle flavor from OKU’s menu that’s delightful and fresh. 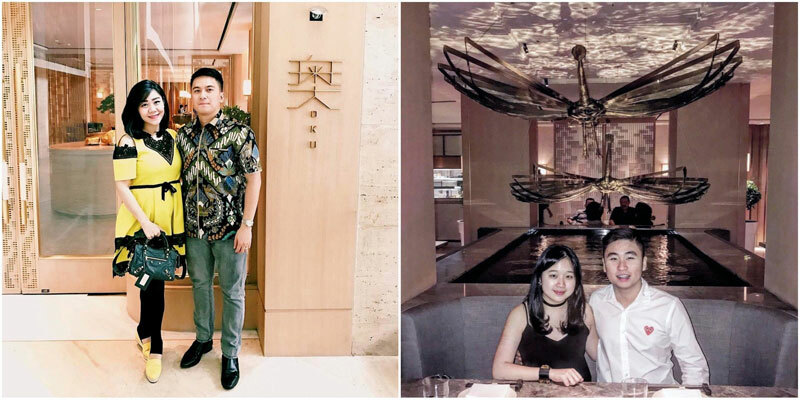 The name OKU itself means peeling back the layers an onion, signifying the culinary experience that diners will get here. 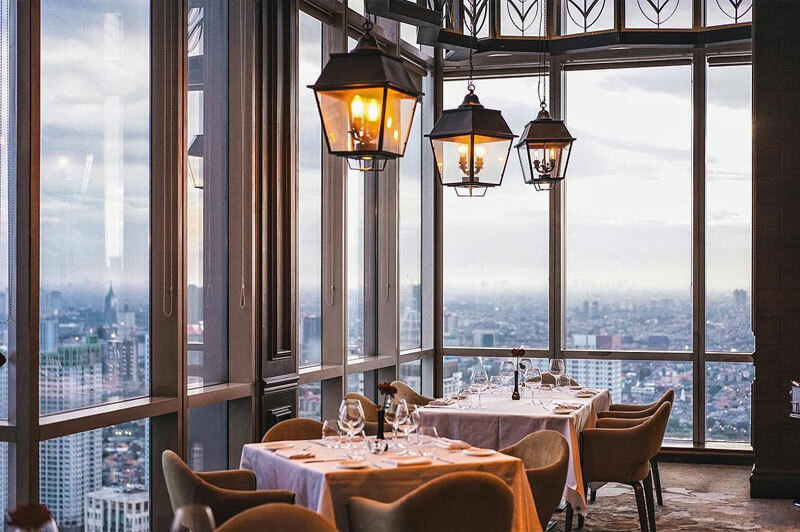 Nestled in Jakarta’s Kempinski Grand Hotel Indonesia, the restaurant boasts of decor that’s one of the finest in the city. 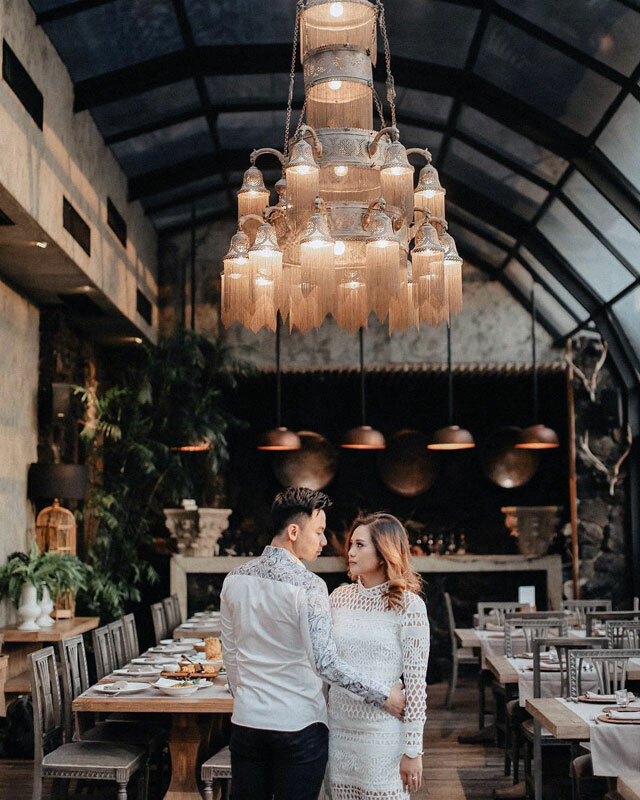 Combining the zen-like atmosphere and laid-back jazzy vibes, everything is balanced and minimalistic – the perfect venue for a special romantic occasion. 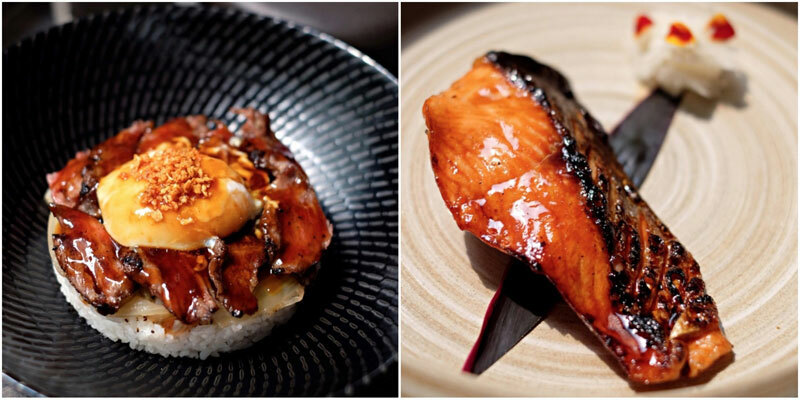 For mains, don’t miss the classic Crispy Skin Salmon Teriyaki or the highly raved Truffle Wagyu Don that’s juicy, tender and flavourful. And of course, what’s a Japanese restaurant without sushi? Oku Aburi Salmon Roll will satisfy your sushi cravings with fresh Tasmanian salmon, Salmon Roe and Lumpfish Caviar – the perfect trinity. Fine dining? Scratch that. 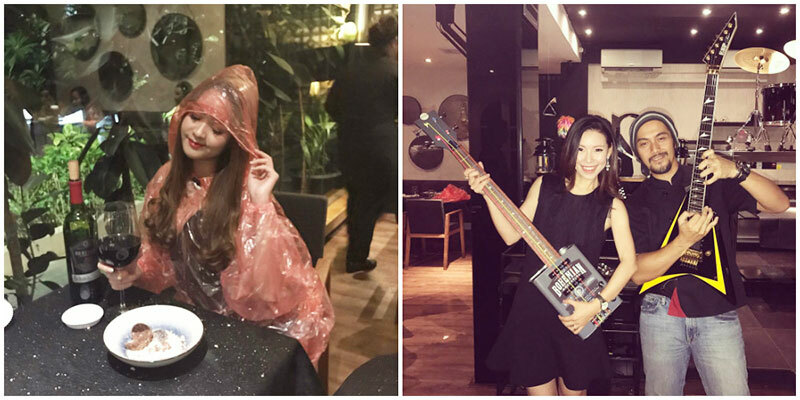 How about fun dining? 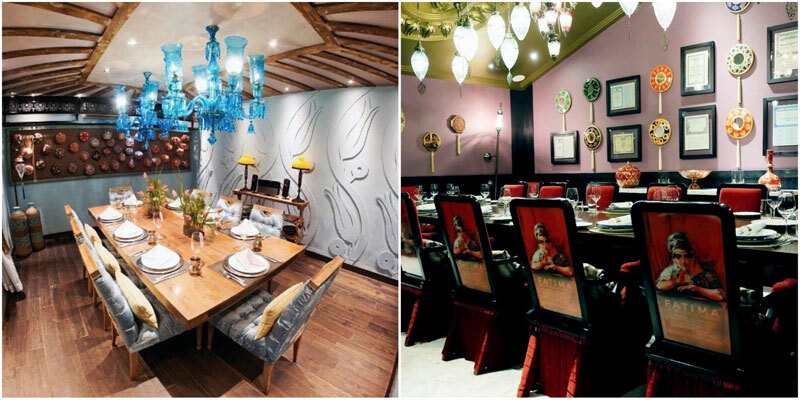 Namaaz is probably one of the most unique and memorable dining experiences you could ever enjoy. 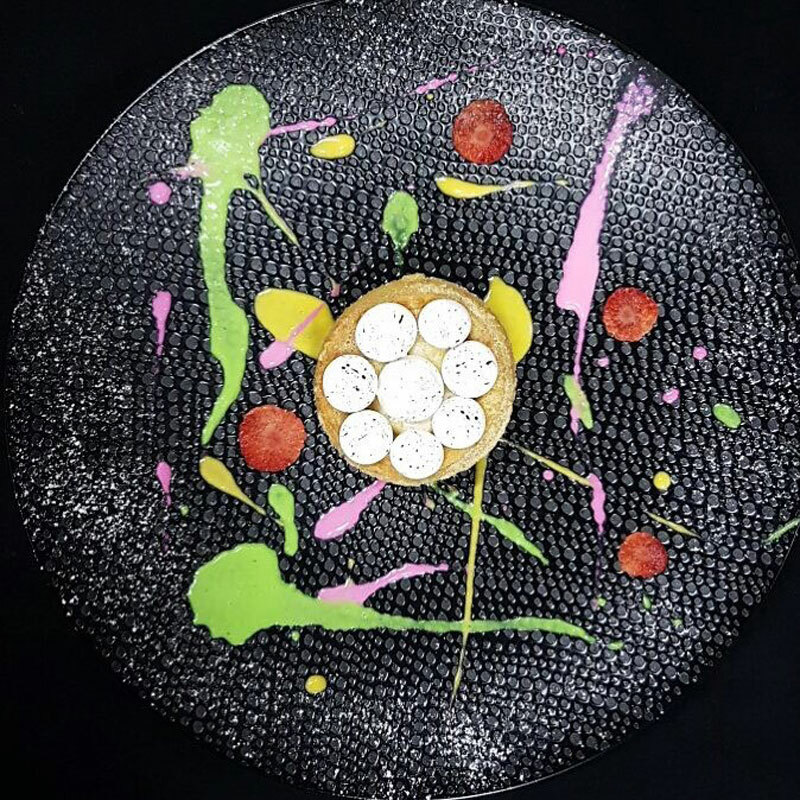 As the first molecular gastronomy restaurant in Indonesia, be prepared to be blown away by a 17-course meal crafted with care for two to three hours. Depending on the season which changes every six months, you could be experiencing meals of a varying themes. 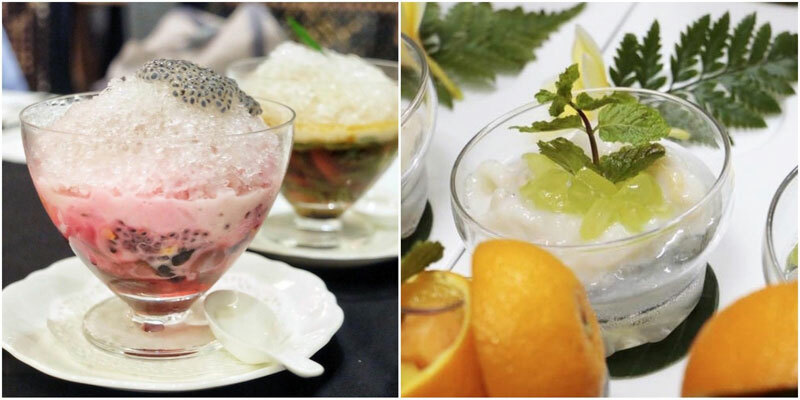 For example, with a “Supermarket” theme, you can expect a dishes like Pembersih Kaca (glass cleaner), which is a tasty spinach dish that sticks onto the plate while the “cleaner” is the spoon, or Pecah Belah (ceramics) which is a shrimp that’s formed into a ball and served on a glass. How about having “lipstick” for dessert? 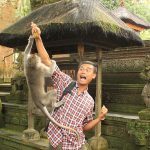 Don’t worry, because it’s actually Kue Celorot which is a type of traditional Indonesian dessert made from rice flour. 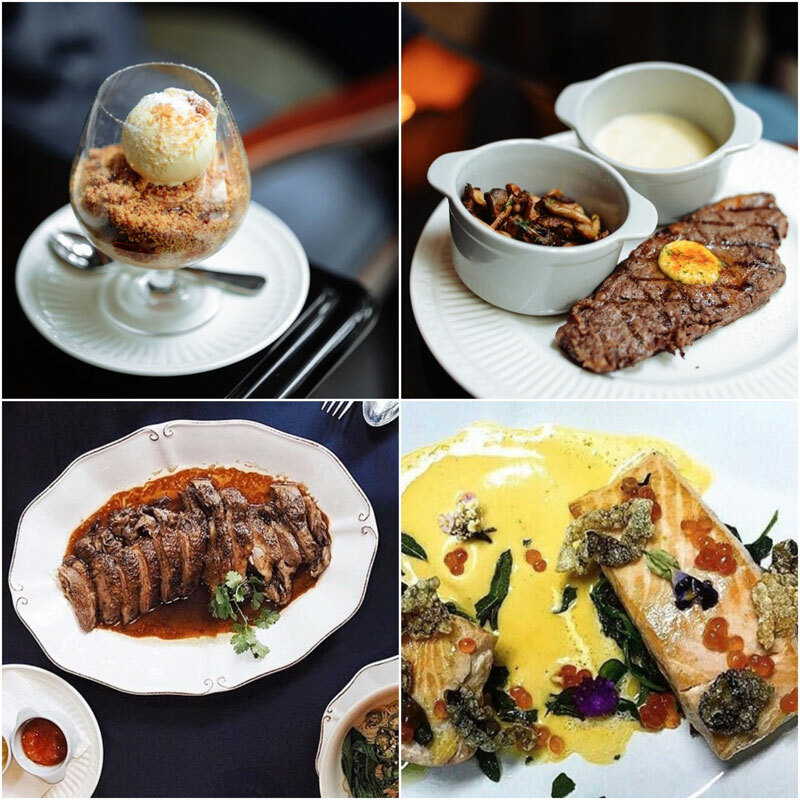 The list goes on and it’s a sure thing that you’ll be entertained and full by the end of this 17-course meal. 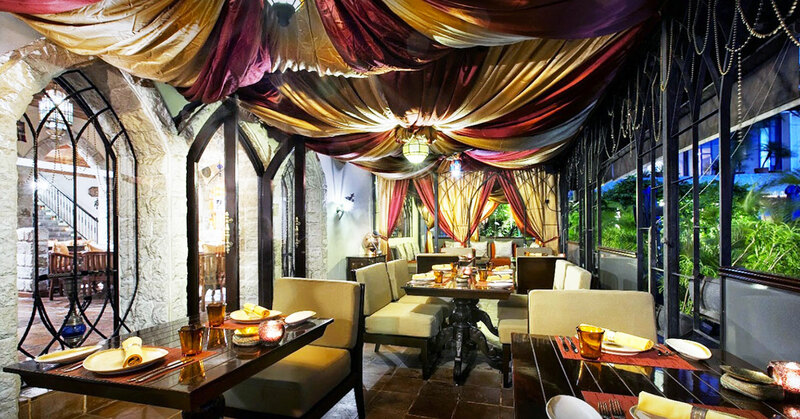 Dining at Namaaz is memorable, fun, and delightful. 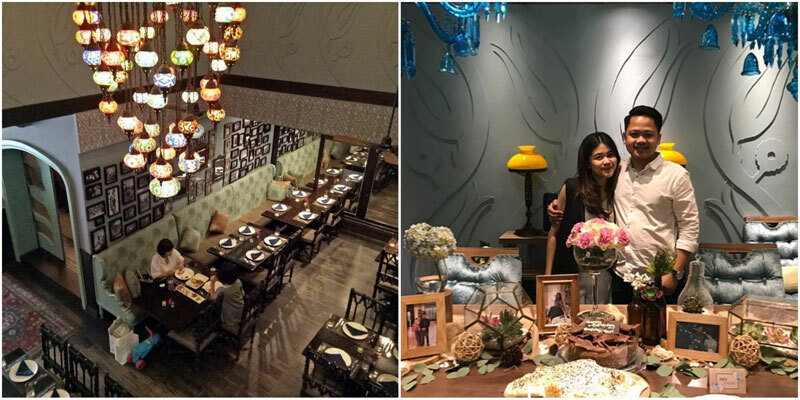 Bring your loved ones or come with a group of friends to enjoy this one-of-the-kind food experience. You won’t be disappointed! 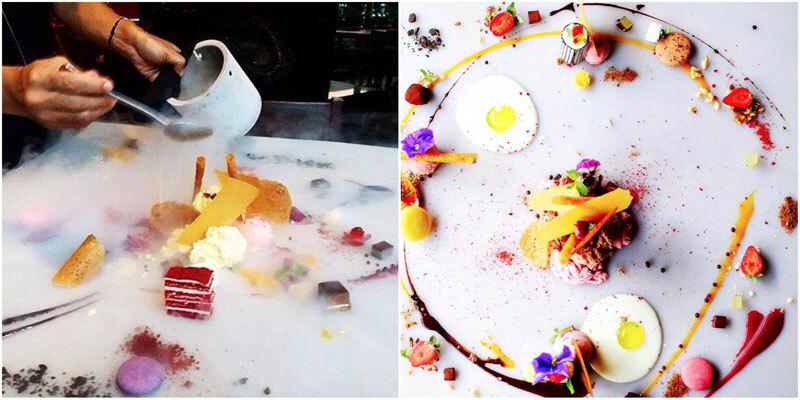 Are there any other unique romantic fine dining resturants we missed? Do share with us today!